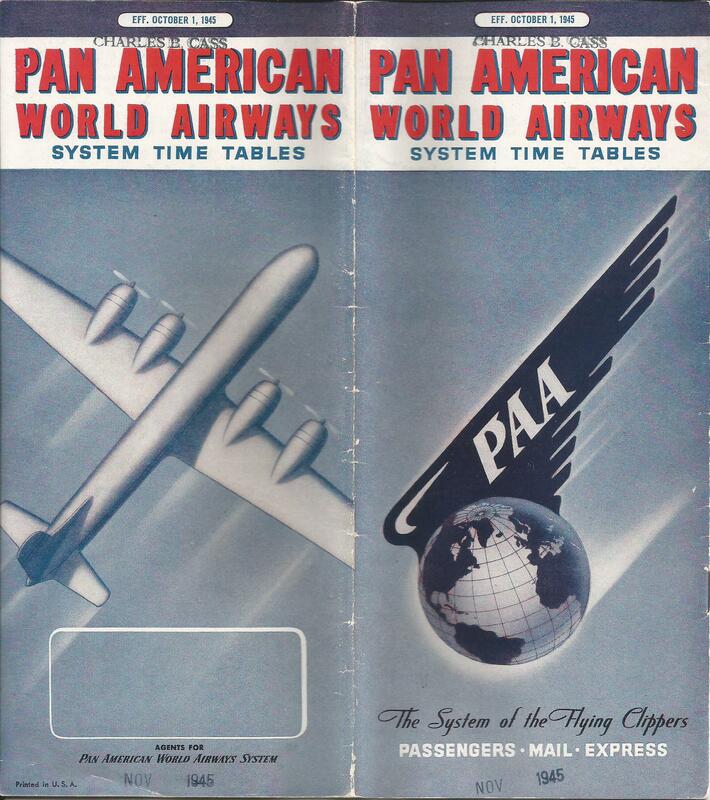 One of the major accomplishments of Pan American World Airways was its involvement in opening an airline route between the United States and the then Soviet Union (USSR). 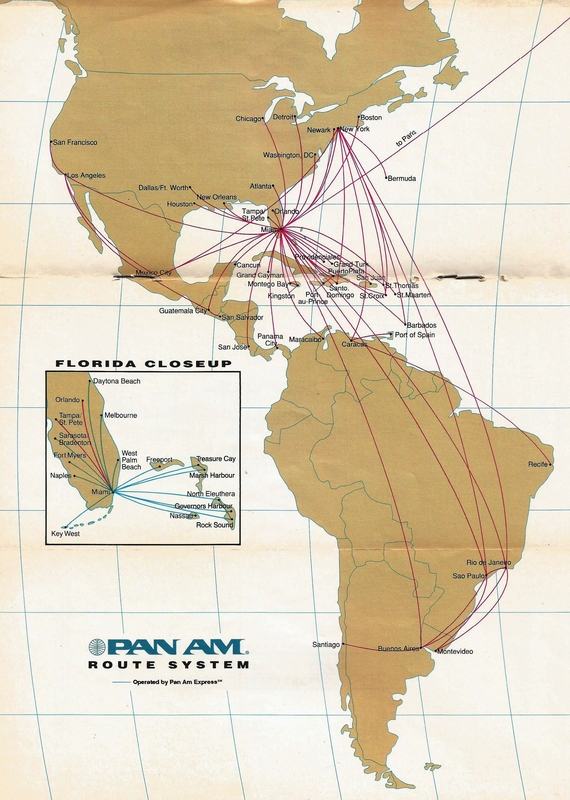 Of all the routes operated by Pan American, this would probably be the one route on which the airline actually operated as the “Chosen Instrument” or indeed as an instrument of American foreign policy. 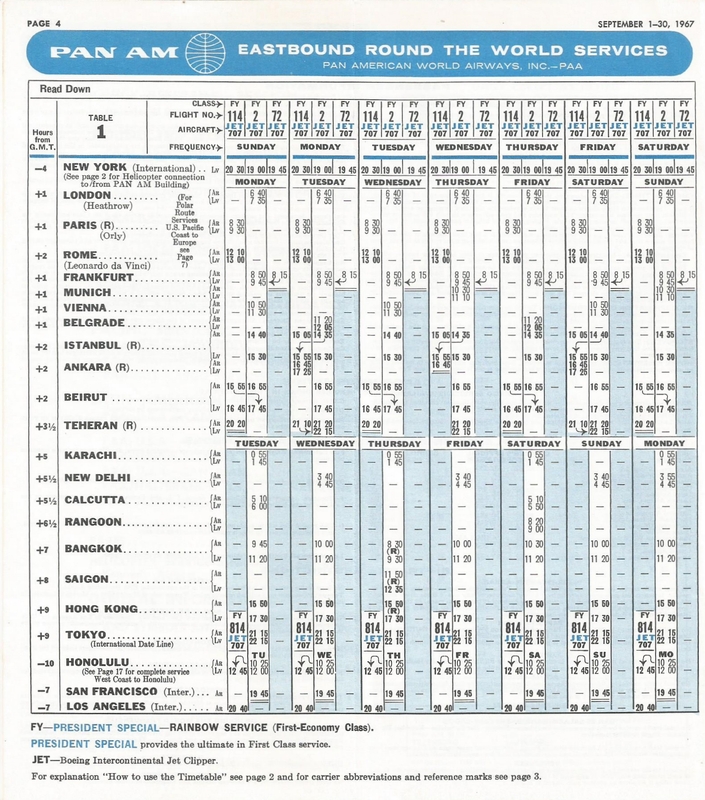 The first flight from New York to Moscow was 15 July 1968. 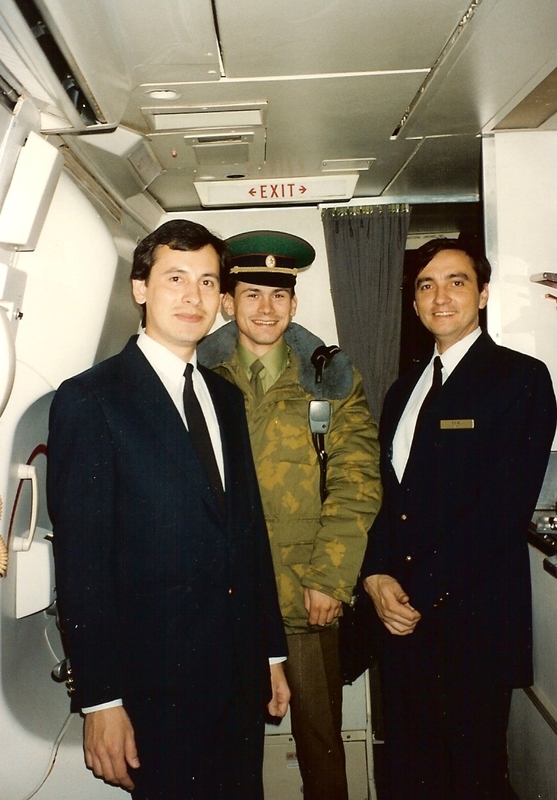 However it took years to finalize the arrangements that led to the inauguration of regular airline service between the two Cold War rivals. 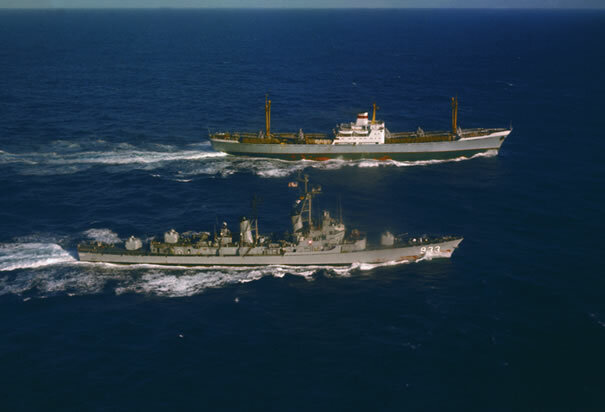 During this time, relations between the United States and the Soviet Union ranged from friendly to confrontational and included numerous events that were major news makers during that era. 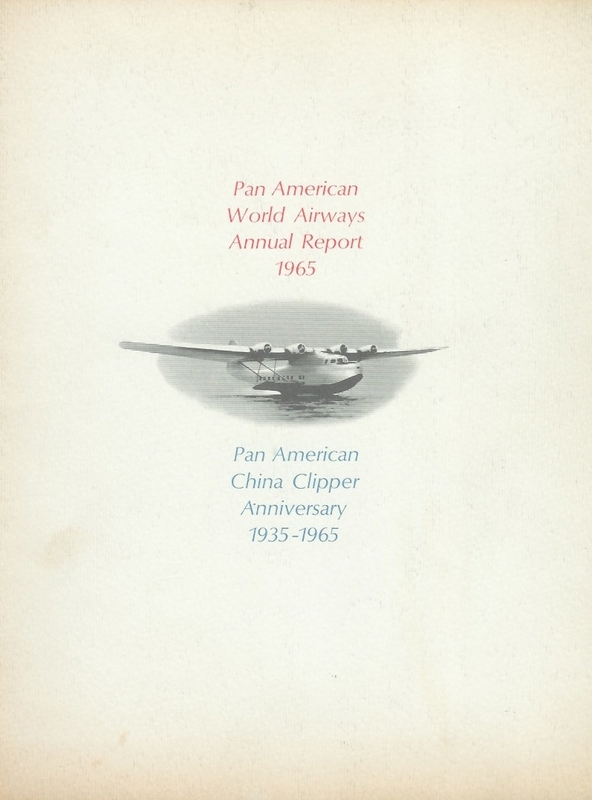 The first instance of Pan American interest in entering into an airline service agreement occurred during the 1930s when Juan Trippe held discussions with the Russians. These discussions, however, were thwarted by politics. 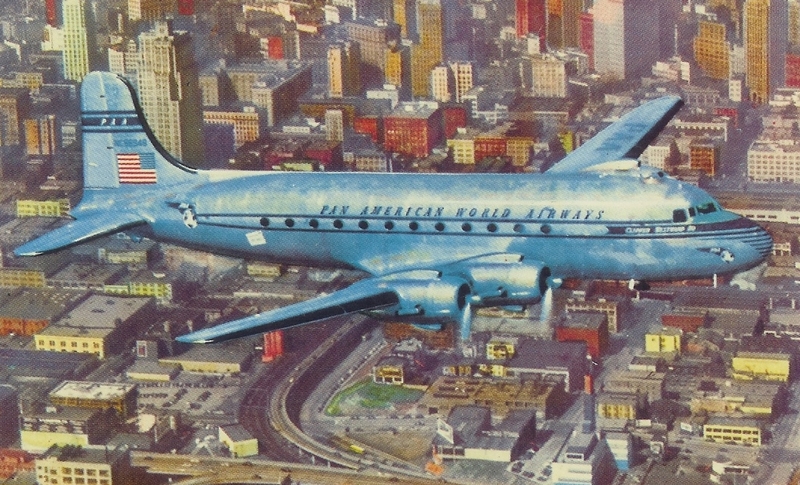 In 1945, the US Civil Aeronautics Board (CAB) awarded American Export (AOA) authority to serve Moscow by extension from Helsinki. 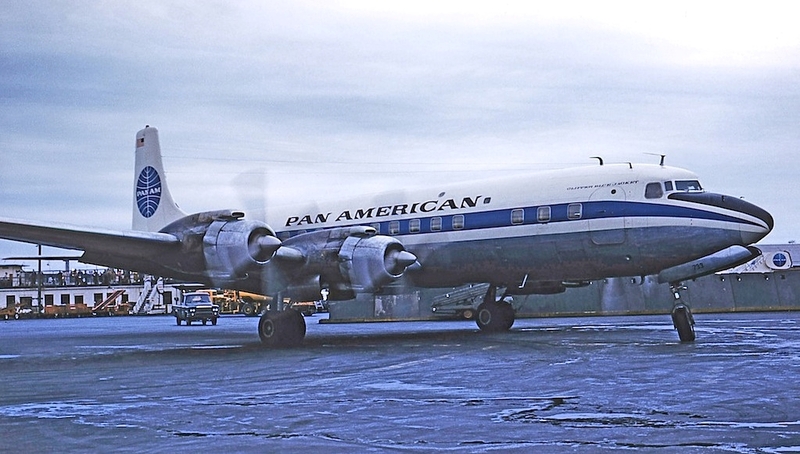 Pan American inherited this authority from the AOA merger, but the authority lay dormant due to the Cold War. 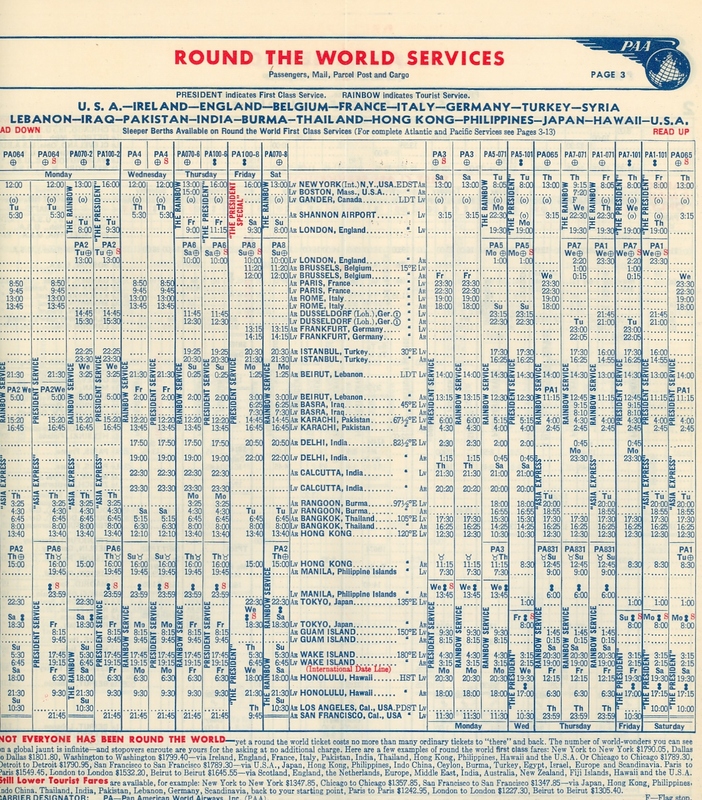 About ten years later, during the Geneva Summit in 1955, US President Eisenhower proposed an exchange of airline service agreement with USSR. That year, the USSR concluded bilateral treaty with Finland, its first. 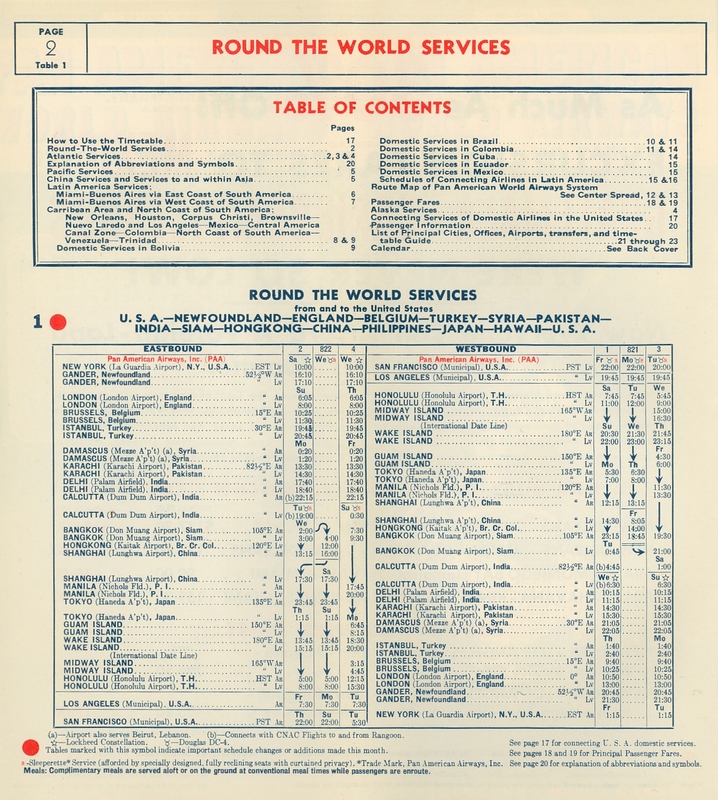 In 1956, the USSR concluded bilateral treaties with the Scandinavian countries for routes to Copenhagen with “beyond” (Fifth Freedom) rights to London, Brussels, Paris and Amsterdam. 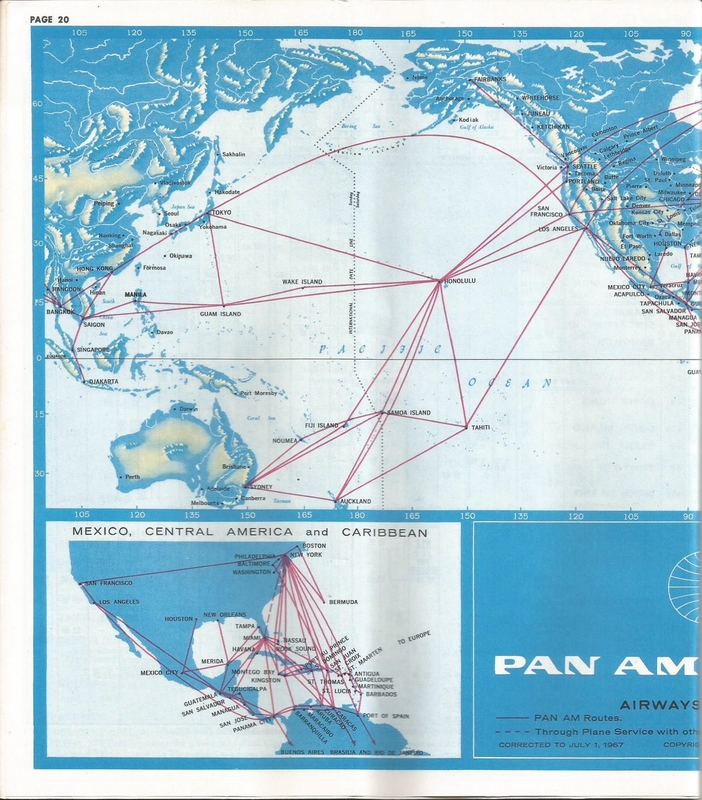 In addition, the Soviet Embassy in Washington, DC approached Juan Trippe and Pan American about opening a route between the US and the USSR. 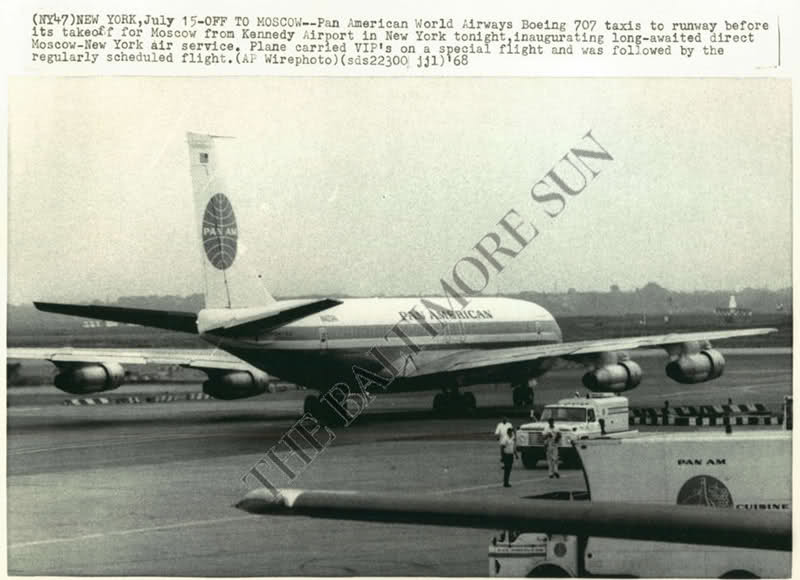 Trippe reported the contact to the U.S. State Department and the CAB and was authorized to continue discussions (in effect to revert to his old-style diplomacy), even though the opening of the route would be subject to a bilateral agreement between the USA and the USSR. Based on this authority, Trippe went to Washington and met with Yevgeny F. Loginov, Minister of Civil Aviation and director of Aeroflot. Talks focused at the start on technical matters such as maintenance facilities, radio navigation, fuel storage and baggage handling. Negotiations were protracted. 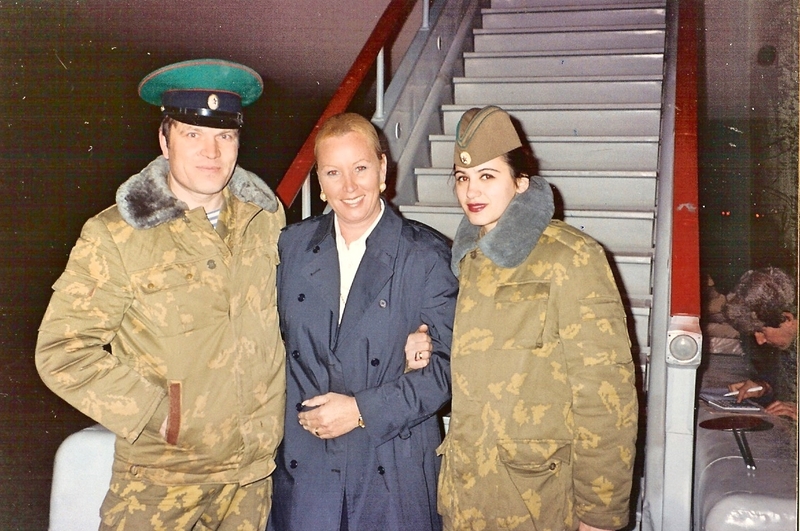 During this time, Trippe also visited Moscow. 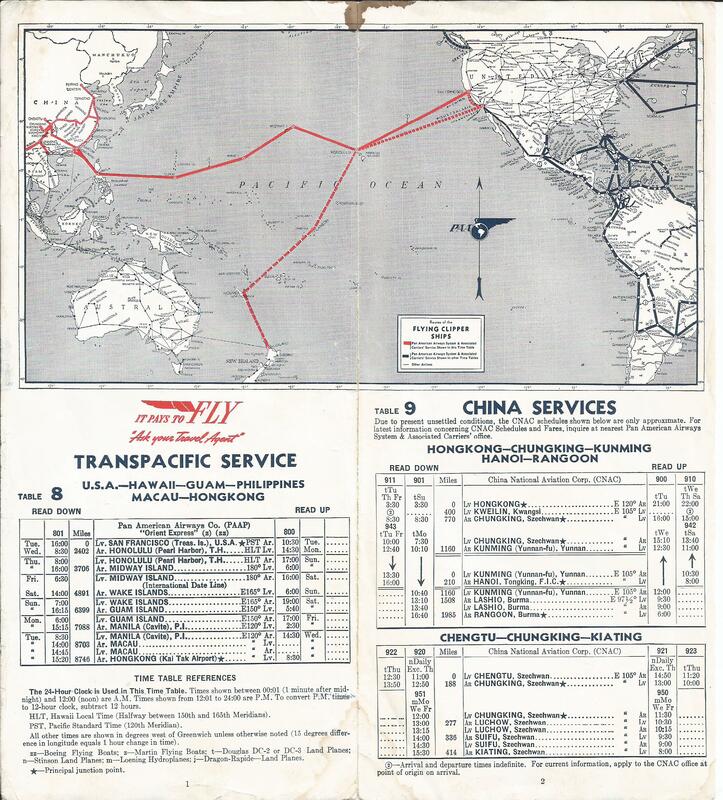 By 1958, both nations had agreed to exchange airline service and the US-USSR cultural exchange agreement of 1958-59 contained promises that an air pact would be signed in due course. 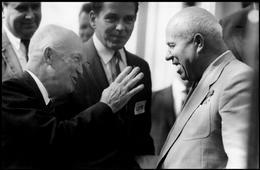 During that time, Khrushchev accused the U.S. ambassador to the USSR of “foot-dragging” in the negotiations. 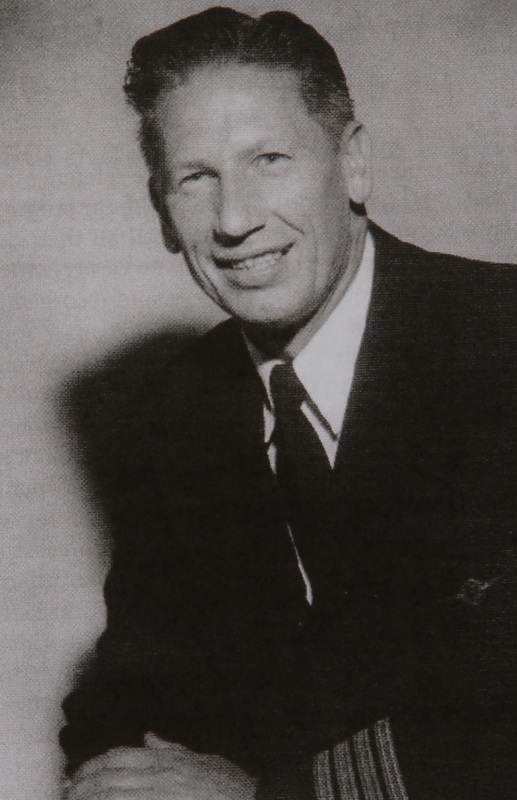 In 1959 Trippe accompanied US Vice President Nixon to to Moscow and met with his Aeroflot counterpart. 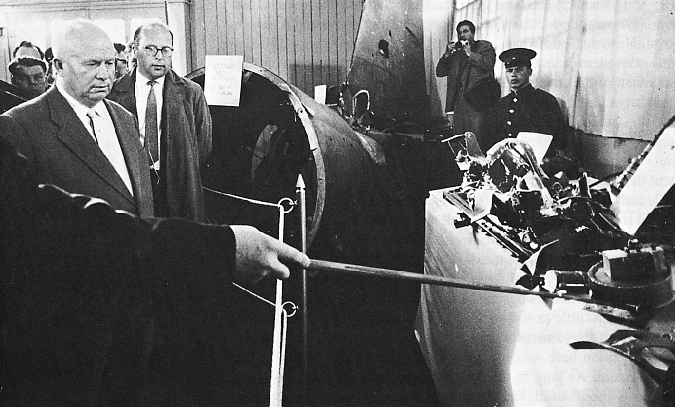 The Aeroflot chief later accompanied Khrushchev to the US and suggested the US attempt to persuade the Scandinavian countries to give the Soviets overflight (First Freedom) rights on its route to New York. This suggestion however, was in conflict with NATO policy of “confining” Soviet international aviation and insisting on strict reciprocity. 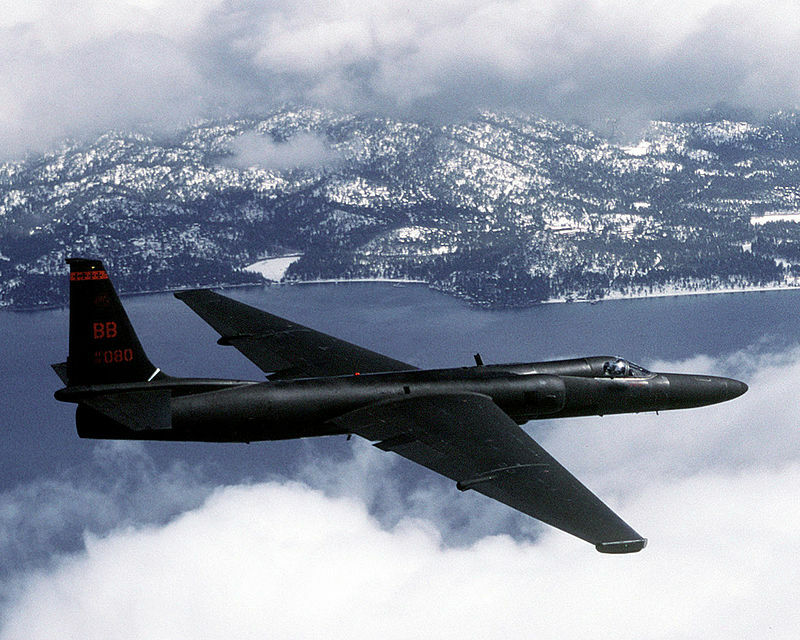 These talks, however, were postponed to a more suitable time due to the U-2 incident, the abortive Paris summit meeting and the shooting down of a USAF RB-47. Things eased when President Kennedy was sworn in as President and talks resumed. 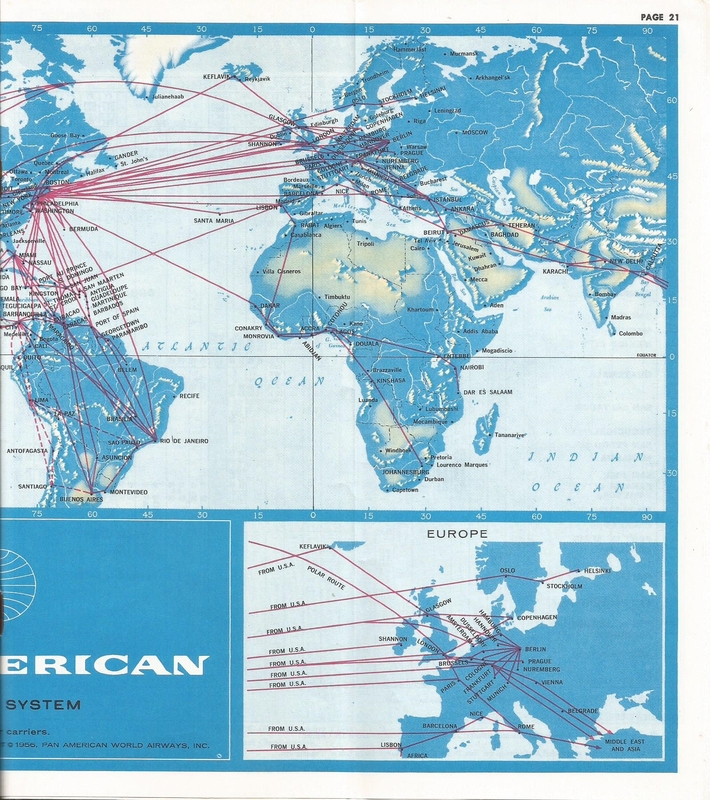 However, the FAA Administrator warned Secretary of State Dean Rusk that a standard bilateral agreement (modeled on Bermuda) should not be used with Russia, otherwise Pan American would be at a disadvantage compared with Aeroflot. 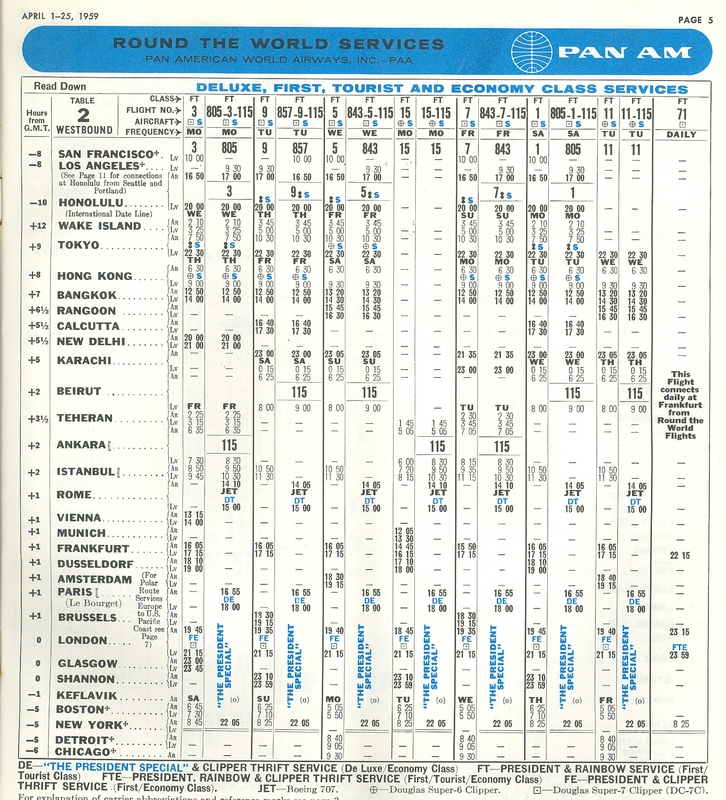 Both countries, however, finally agreed on text, and Pan American and Aeroflot agreed on inter-carrier matters. 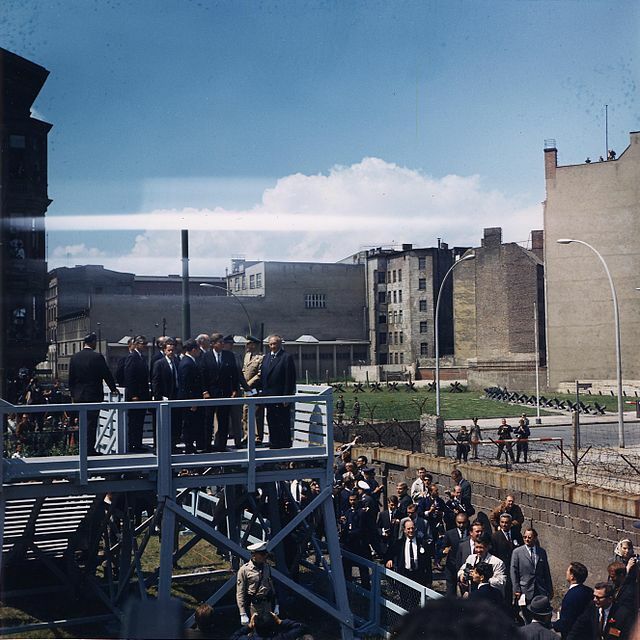 Unfortunately, however, the Soviets’ building of the Berlin Wall and the Cuban Missile Crisis intervened, causing President Kennedy to decline to sign the air agreement. 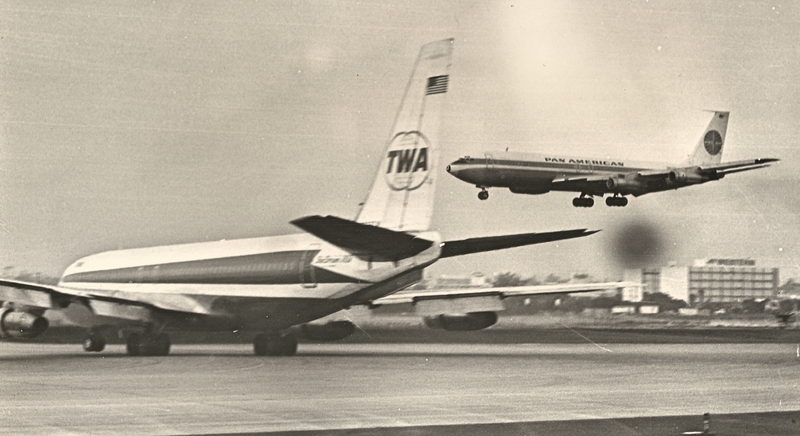 In 1963, President Kennedy advised Soviet Premier Gromyko that the US is ready to move forward on the airline agreement. 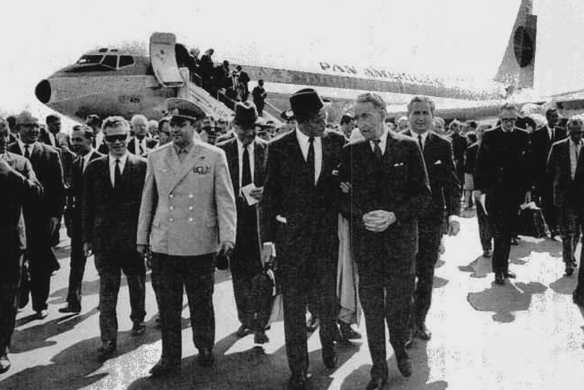 There were still issues to be resolved, however, and it was not until December, 1963 that President Johnson, who succeeded the late President Kennedy, instructed Najeeb Halaby (then FAA head, later president of Pan American) to solve the remaining problems with the Soviets regarding the treaty. However, there was opposition to the treaty in the US, with the fear that the treaty will allow Soviet penetration into the Western hemisphere. In addition, the Vietnam War soured relations. 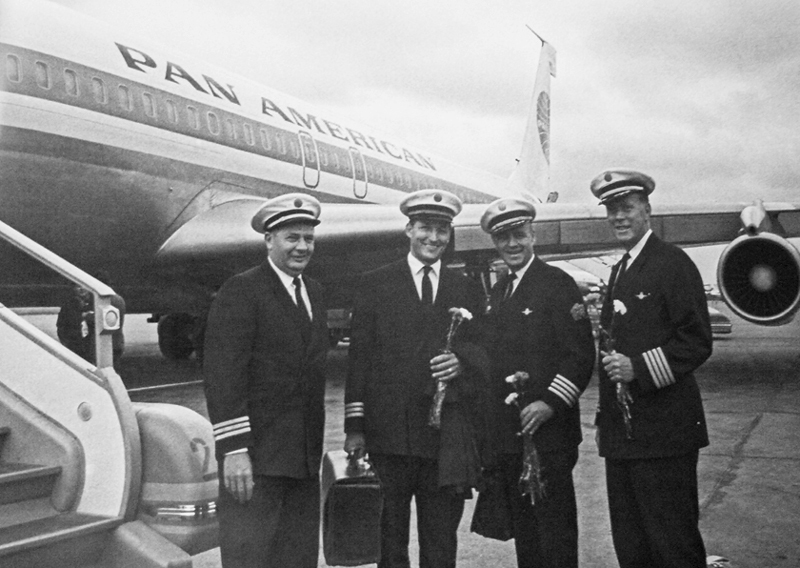 By 1966, USSR and Canada had concluded a bilateral air agreement giving Aeroflot authority to Montreal. President Johnson also suggested that the old agreement should be looked at again, and on 4 November 1966, the US-USSR agreement was signed in Washington. 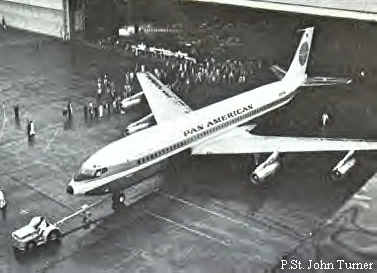 The agreement differed from typical bilateral agreements where agreement on the commercial aspects of air services between the two countries, including capacity and tariffs, were made subject to a prior agreement between the designated airlines (Pan American and Aeroflot) which, in turn, was subject to prior governmental approval. 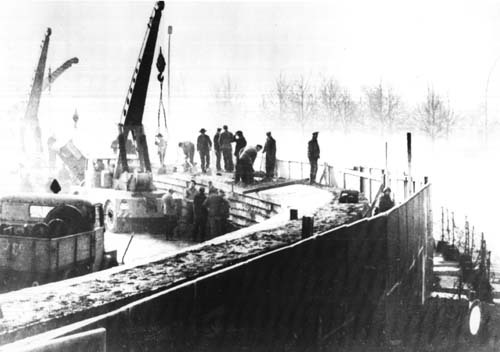 In 1967, another barrier was encountered when it was discovered that Soviet aircraft did not meet noise limitations, had insufficient avionics and flew too fast for US holding patterns. 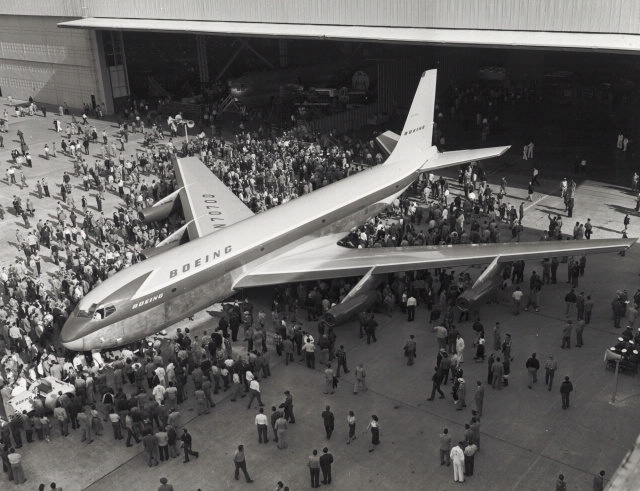 Rumors were that that the Soviets did not want to share technical data because of the similarity between their commercial aircraft and their bombers. 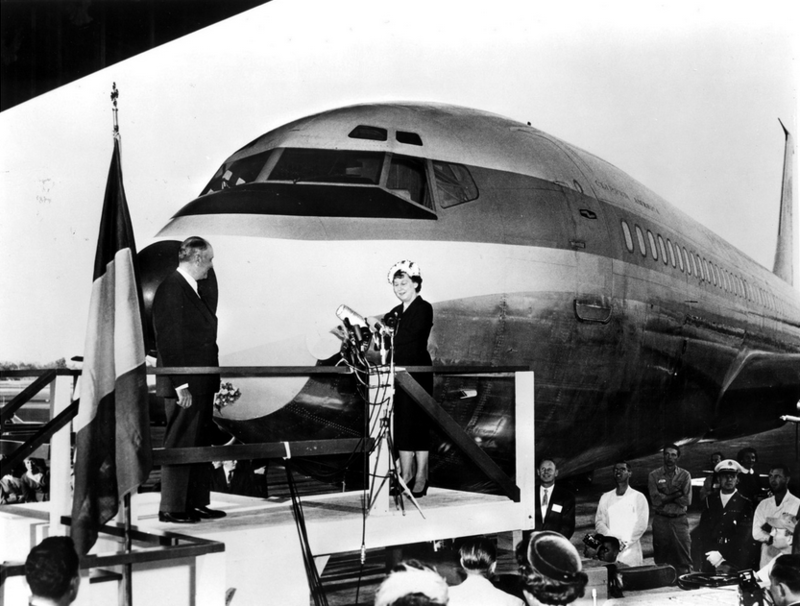 Later, the Soviet-Canadian agreement was amended to give Aeroflot beyond rights to New York. 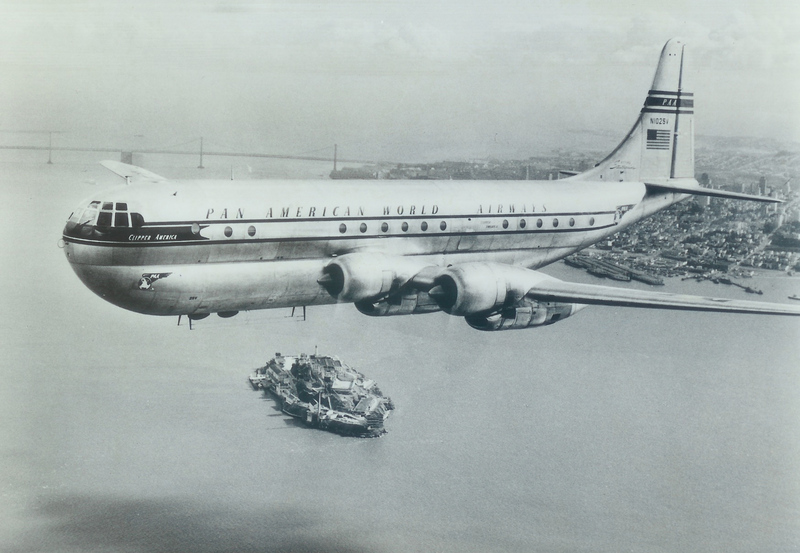 A new Soviet plane, the IL-62 began making test trips to New York and other U S airports. 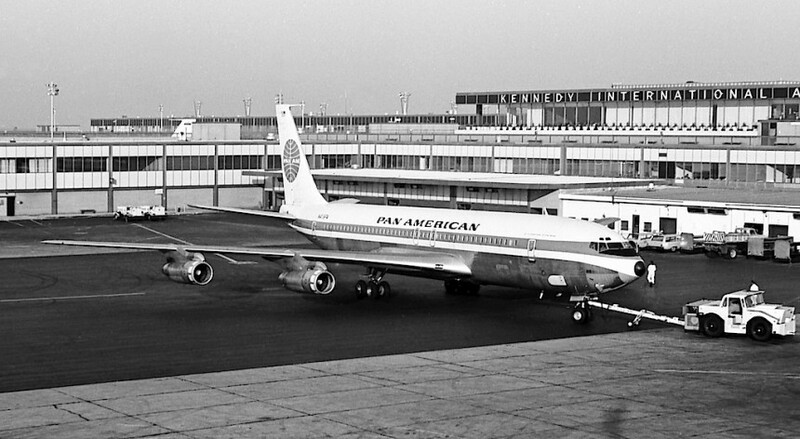 On 15 July 15 1968, Aeroflot’s inaugural flight arrived at New York’s Kennedy Airport; on the same day a Pan Am 707 took off for Moscow on its inaugural flight to the Soviet Union. 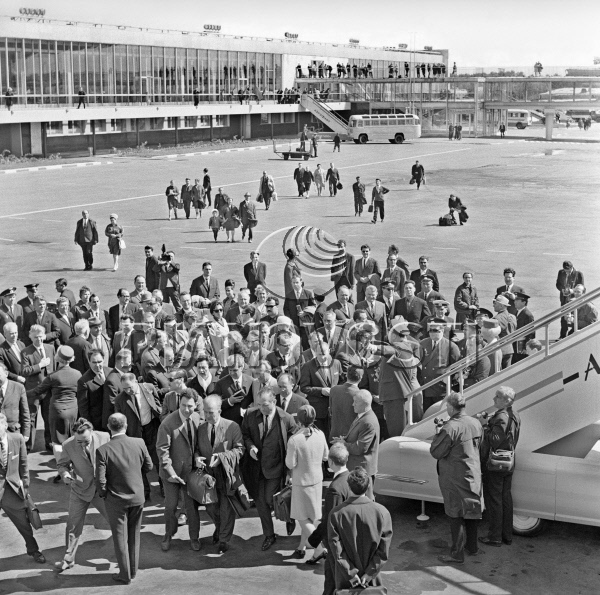 “Juan Trippe had sent me to Moscow from Helsinki in the mid 1960’s to develop good relations with Marshal Loginov, Minister of Civil Aviation, in an effort to persuade Aeroflot to join Pan Am in developing an InterContinental Hotel in Russia. The contracts had been signed in Helsinki. 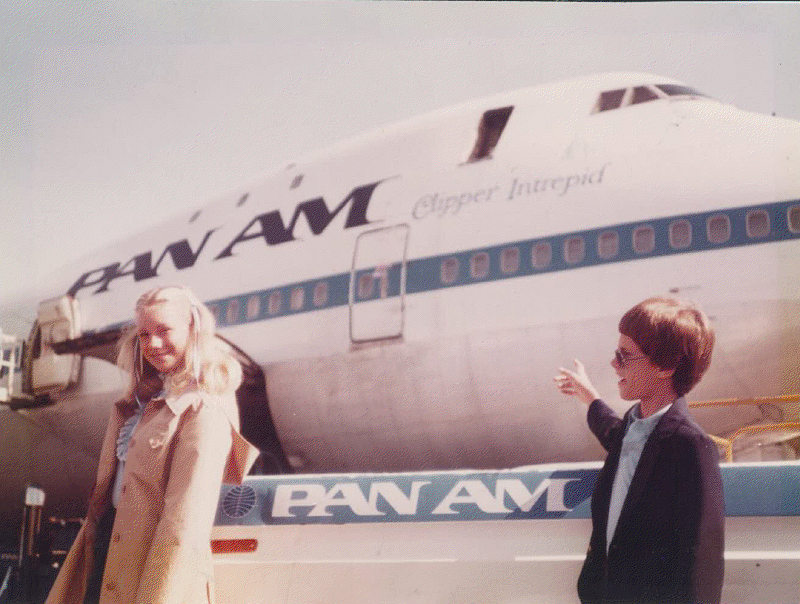 Mr. Trippe told me not to tell anyone about the Russian hotel proposal – not even my own boss in Pan Am. 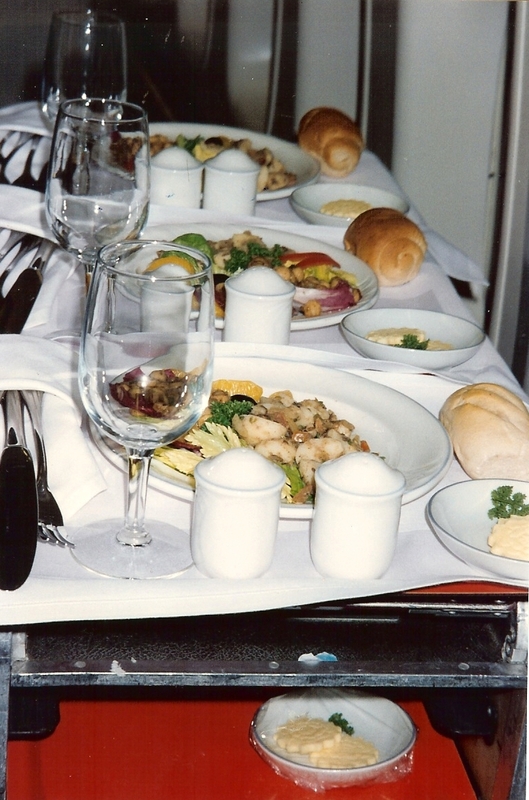 Relations with the Ministry and Aeroflot developed favorably, but a hotel agreement was never concluded. 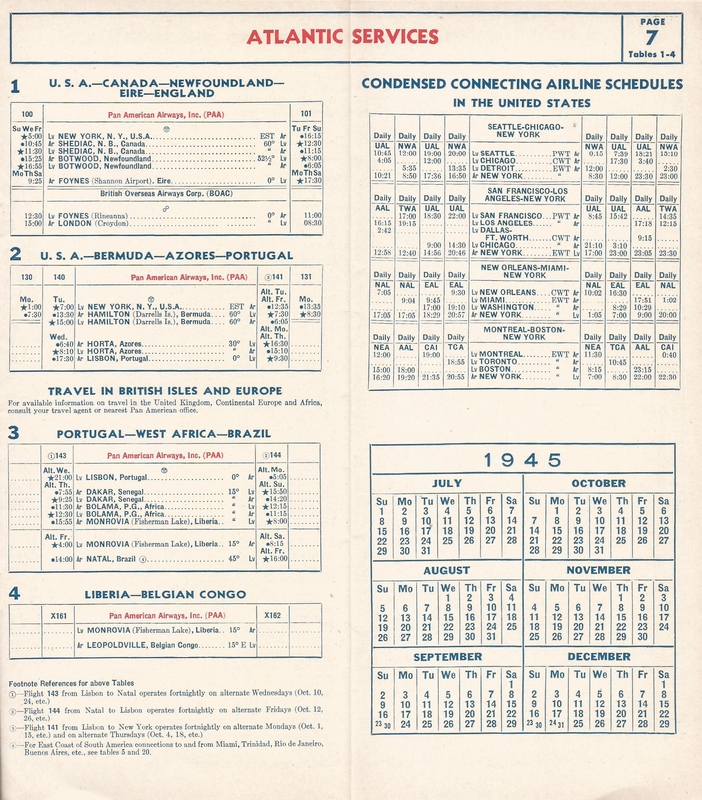 The favorable relations, however, set the stage for eventual introduction of scheduled services between New York and Moscow. 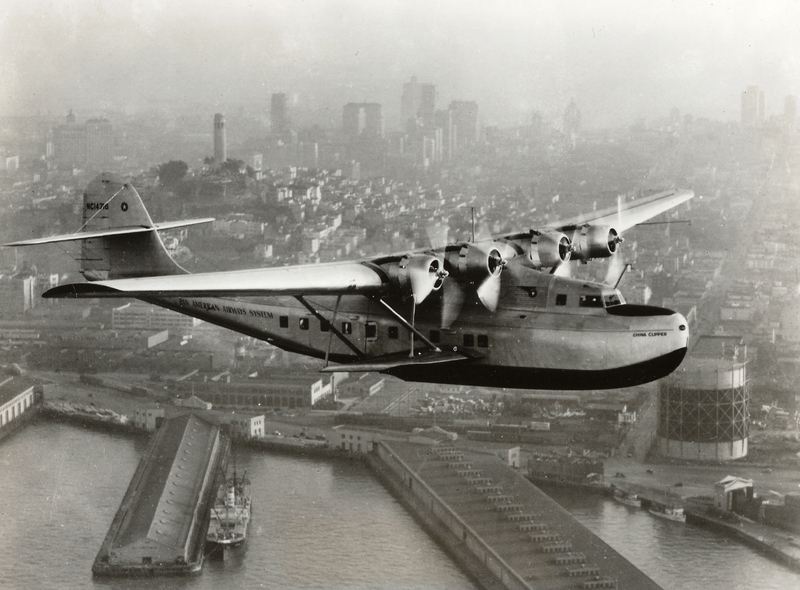 “During the early negotiations, I remember, with some amusement, our US technical team telling Aeroflot that the FAA required both DME and transponders on all aircraft entering New York airspace. 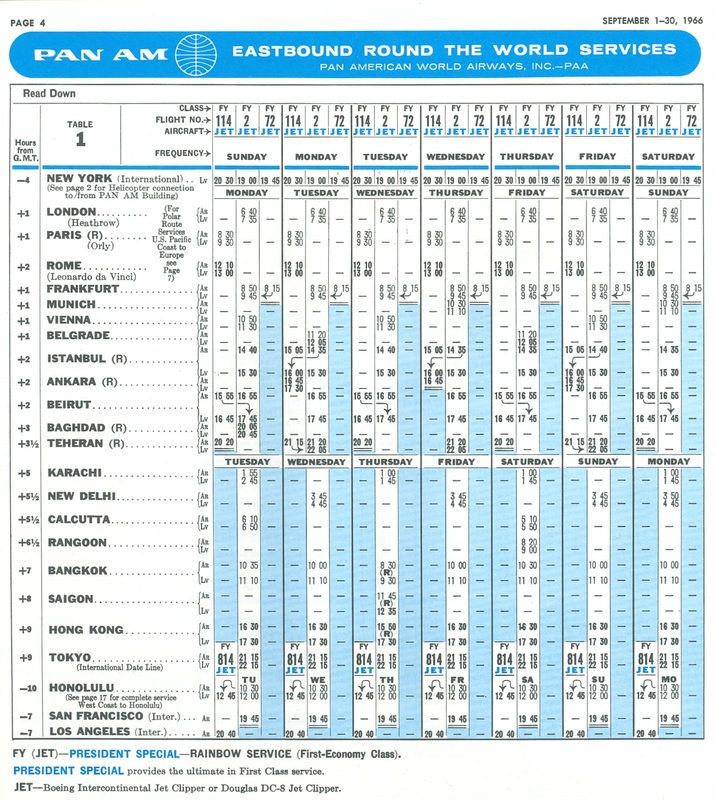 This was long before GPS. 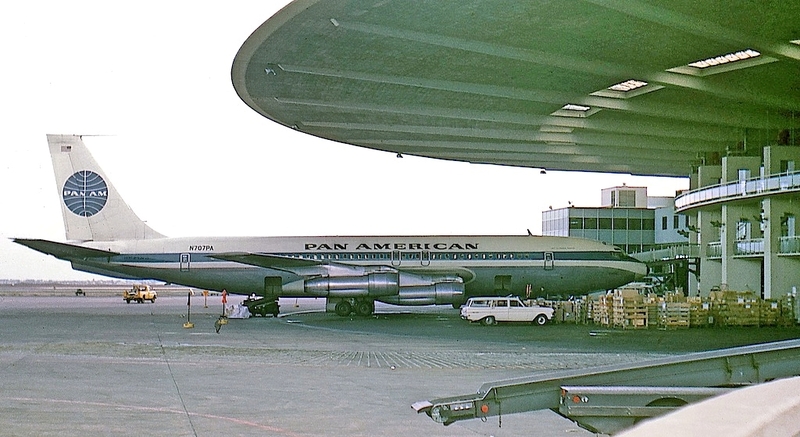 The Pan Am team said with these two instruments pilots could know their exact location. 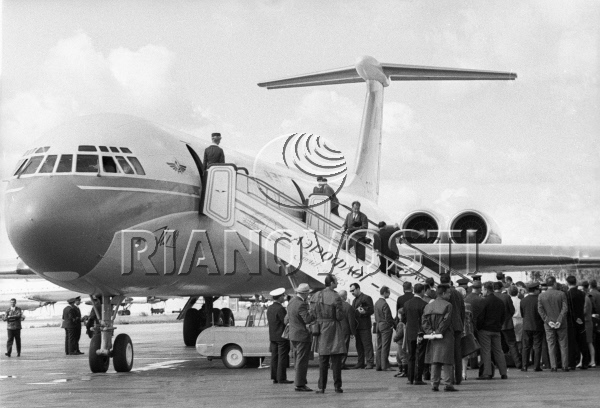 The answer from Aeroflot was, “Soviet pilots always know their exact location!” However, if one had looked closely at the belly antenna of the Russian IL-62, after service began, one would have seen the insignia, ‘RCA’ (Radio Corporation of America). “Into this world I walked as a relatively young man, with a young English wife, two young children, and a Labrador puppy. 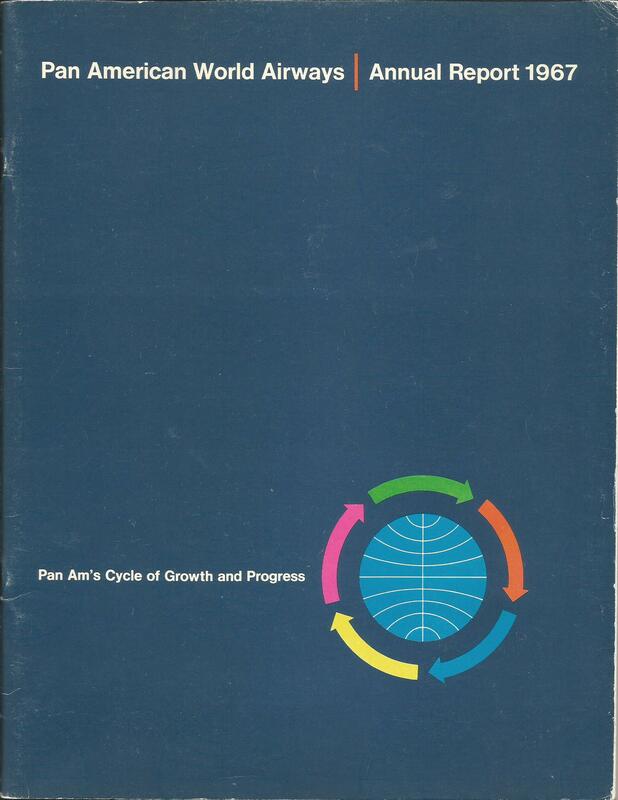 How to cope with this system, and have an efficient Pan Am operation off to a successful start was the question. 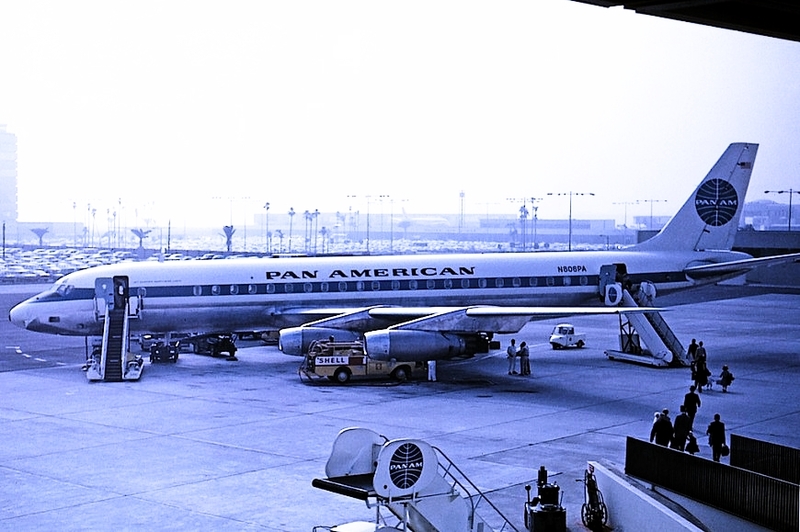 Given Pan Am’s strict worldwide policy against bribes and corruption, it seemed almost impossible, until we remembered a clause in the bilateral air agreement. 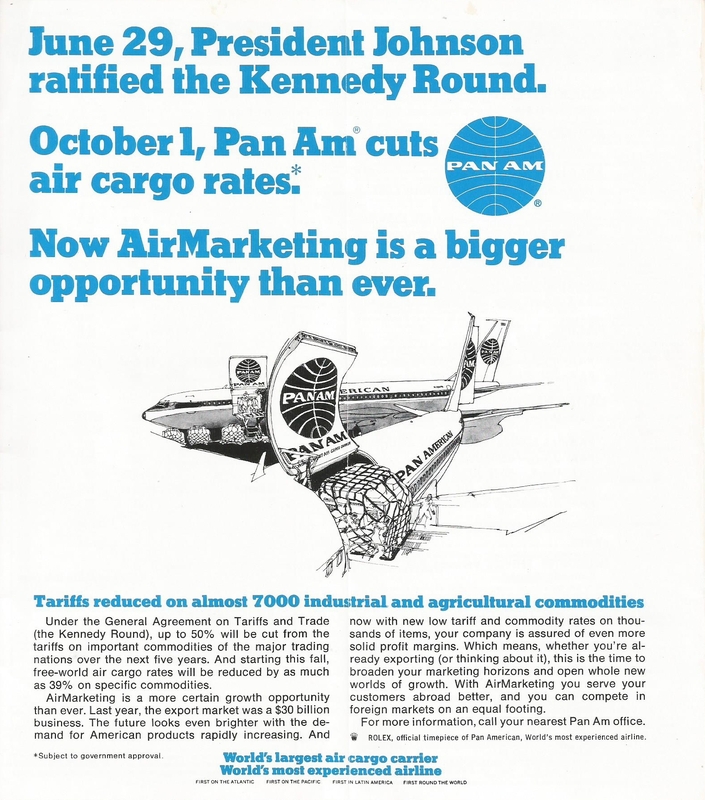 Aeroflot was permitted to distribute advertising material in the United States – and Pan Am was permitted to distribute advertising material in the Soviet Union. “Here was our incredible secret weapon. 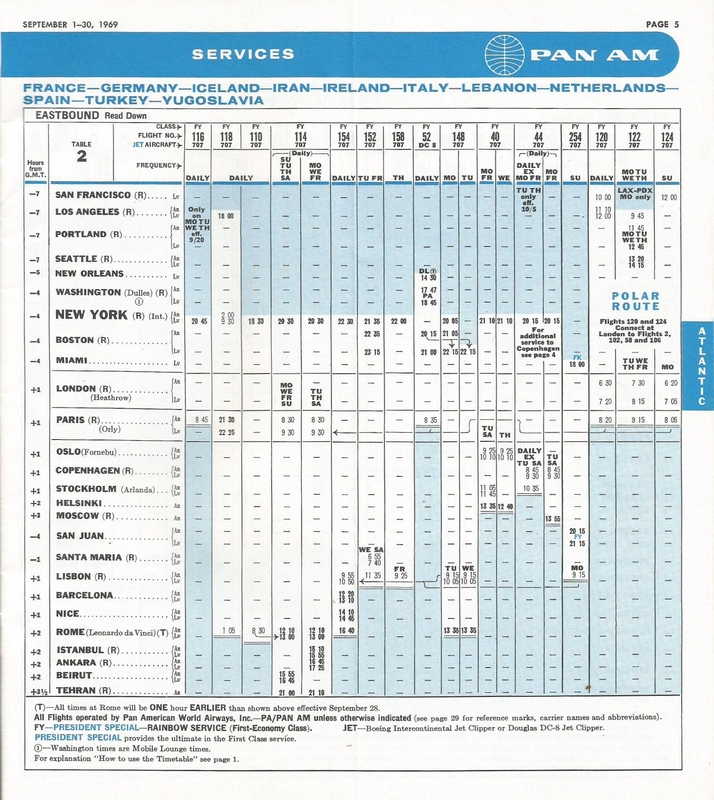 There was nothing in Russia like the Pan Am calendar, with its large, beautiful color pictures of worldwide destinations. People who had no other color pictures would frame them to hang in their otherwise drab and crowded apartments. 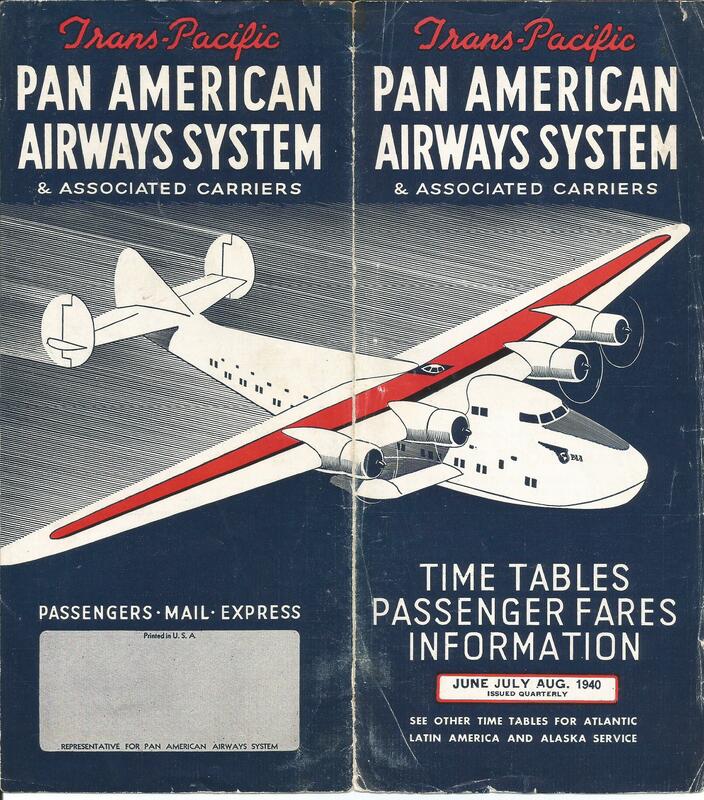 I was told that Pan Am calendars would sell for the equivalent of some twenty or thirty dollars on the black market. During communist days, the Soviet Poet and playwright Vladimir Mayakovsky wrote ‘Without a piece of paper you’re an insect – with a piece of paper you’re a man!’ We had a piece of paper that made it legal for us to distribute these valuable items – a box of a hundred calendars was a pretty handsome gift – It was advertising material. 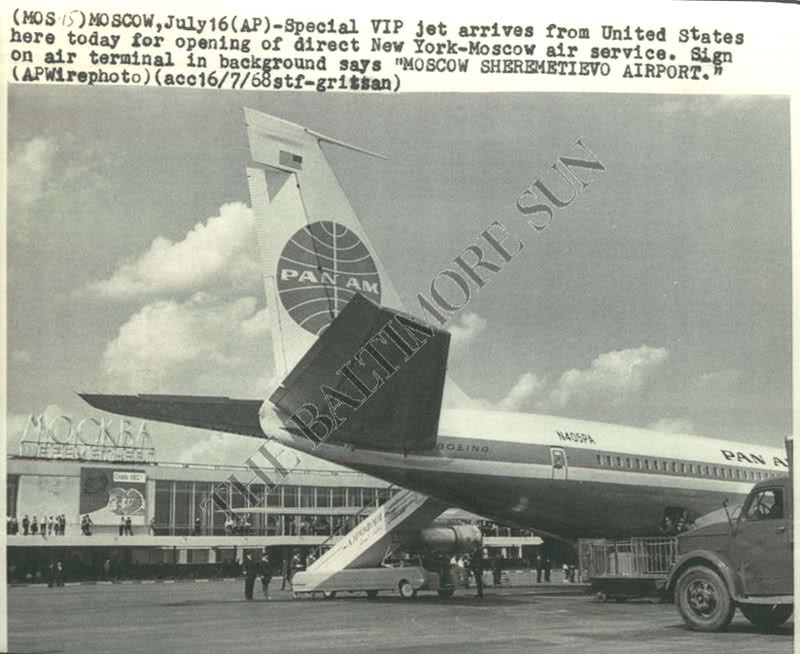 ‘At Pan American World Airways’ second floor sales office in the Hotel Metropol, 15 sons and daughters of American Embassy officials spent much of the rainy Moscow Sunday putting 16 kopek’s worth of stamps on 22,000 envelopes marking the inaugural flight…. 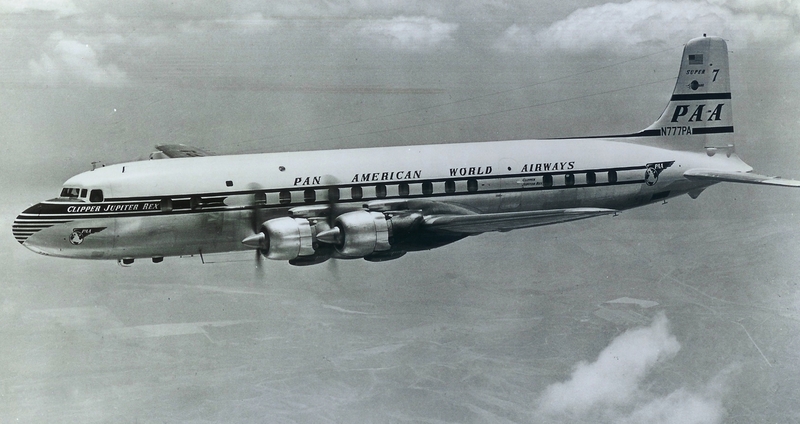 The letter will be flown to New York on the… Pan American flight, and delivered to stamp collectors and others with special interest in the start of the route. 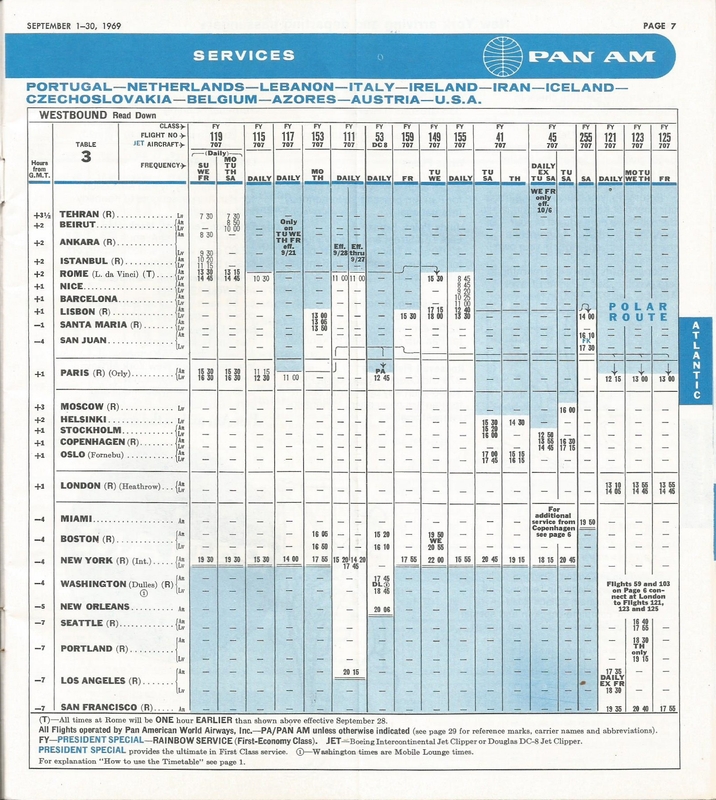 The September 1969 timetable (above) illustrates the Pan American Moscow service that was operated for ten years. 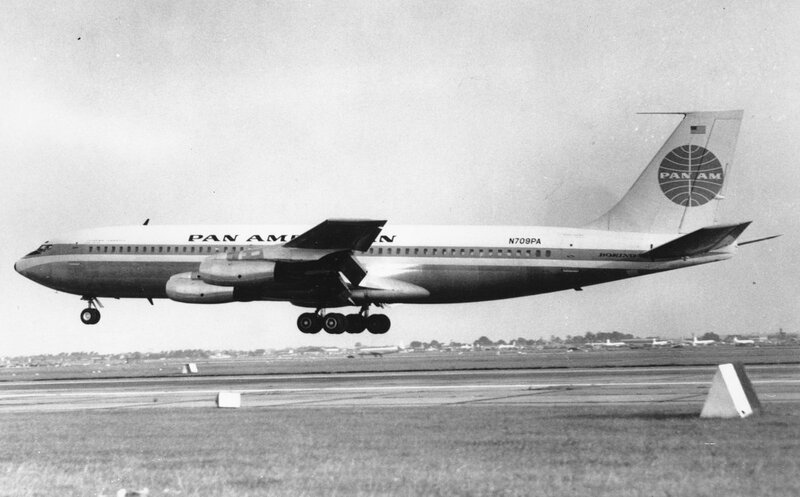 In the next posting of the “Pan Am Series” will be a description of the operation during this period. The acceptance flight is a critical part of the delivery process of an aircraft to an airline. Once the aircraft is accepted and delivered, anything that is discovered wrong with the aircraft becomes the responsibility of the airline. Inspections and the acceptance flight should ensure that this does not happen. 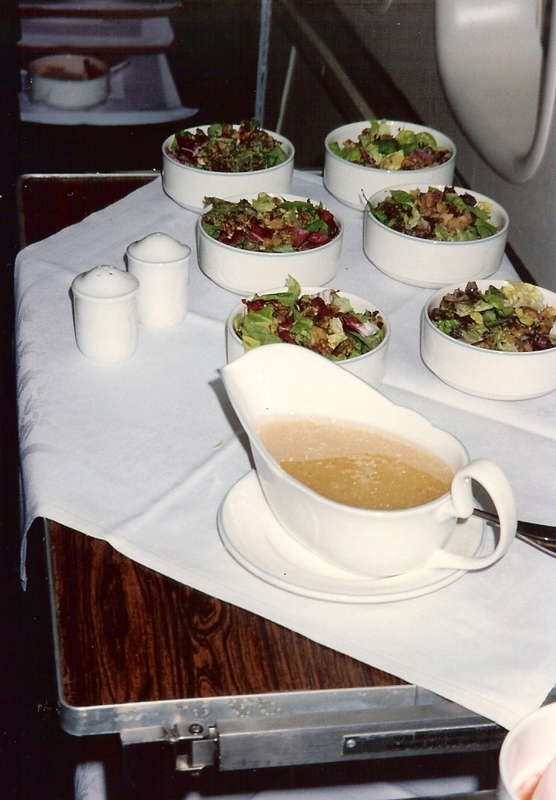 The Boeing 747SP was flown to London by a United Airlines supervisory pilot and crew. 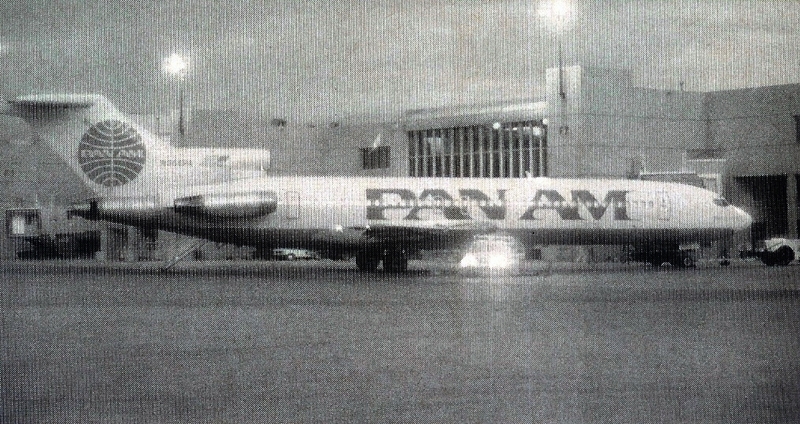 Upon arrival, Captain Carr and his crew met the aircraft and began the task of inspecting the aircraft and its logs and maintenance records and carrying out the acceptance flight. 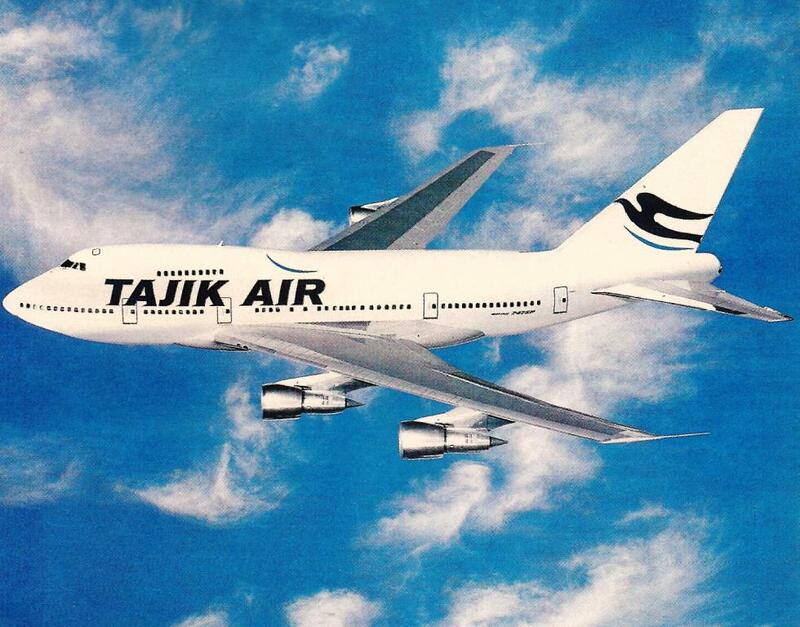 The aircraft looked great with a fresh paint job with Tajik Air livery. 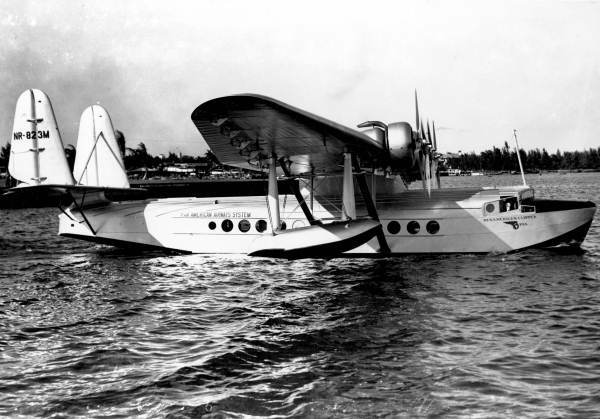 Once everything was signed off, and the walk-around inspection complete, the aircraft was pronounced airworthy and Captain Carr and his crew boarded the aircraft to begin the flight. 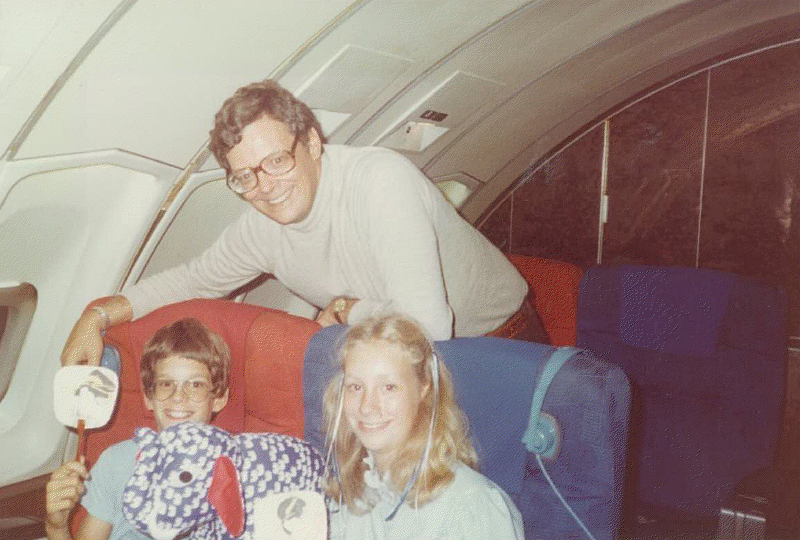 However, once on board, there was a surprise awaiting them: The aircraft was full of people! 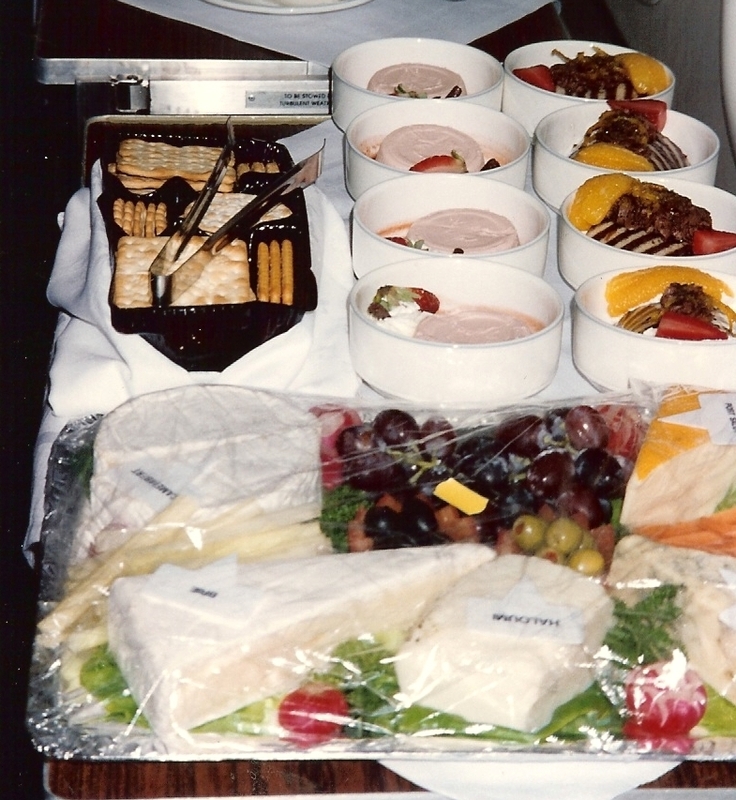 Normally such a flight involves the necessary minimum crew members. Not this one. 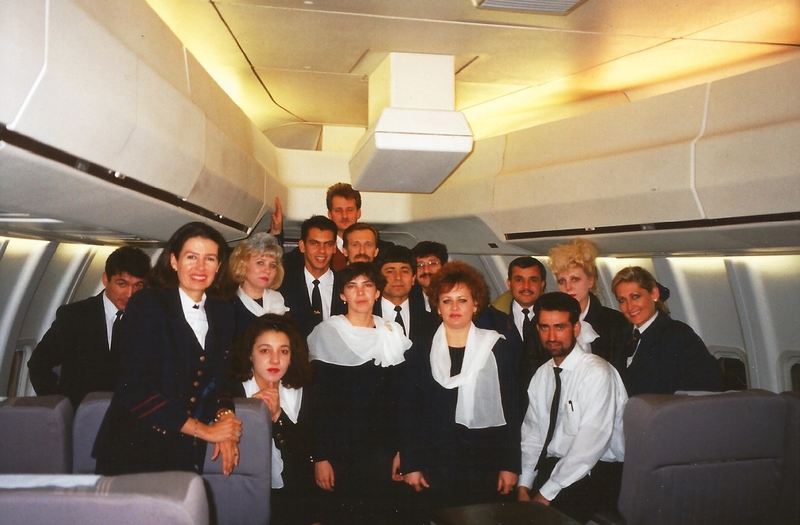 The press was on board, as were Tajik Air officials, the Minister of Aviation of Tajikistan and management staff. 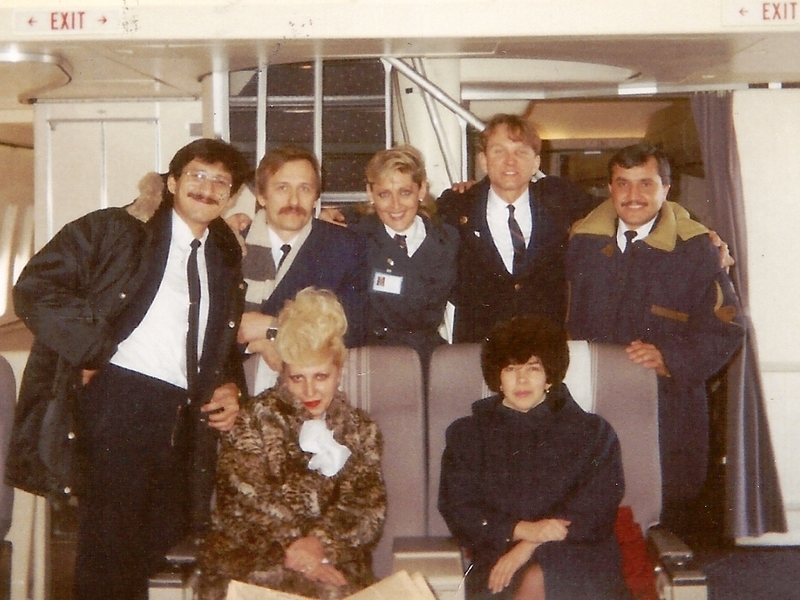 In fact station personnel and baggage handlers were also on board! “[I had] a quiet conversation with the [Minister of Aviation] to make sure that carrying all these people on a test flight was okay. I learned that wonderful Russian phrase: ‘kharasho’ (‘no problem’). Since he was the law for our Tajikistan operating certificate, it was like getting the word directly from God. 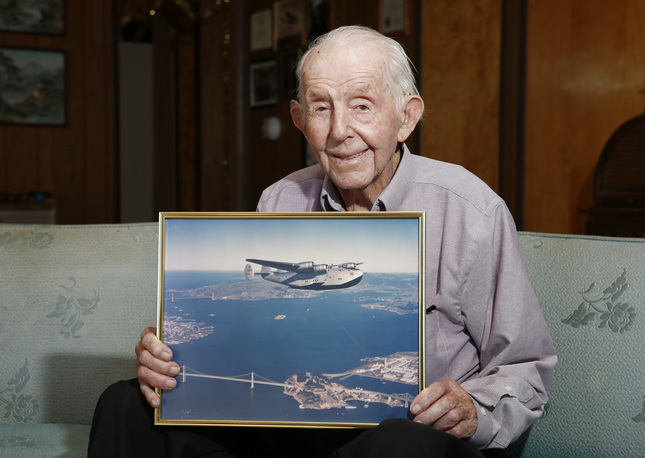 “I climbed into my seat in the cockpit. The United pilot looked really nervous and seemed a few shades deeper red than normal. He indicated his concern about all these people on board, and I said ‘kharasho’, took the clip board from him and signed as Pilot in Command. He looked relieved. 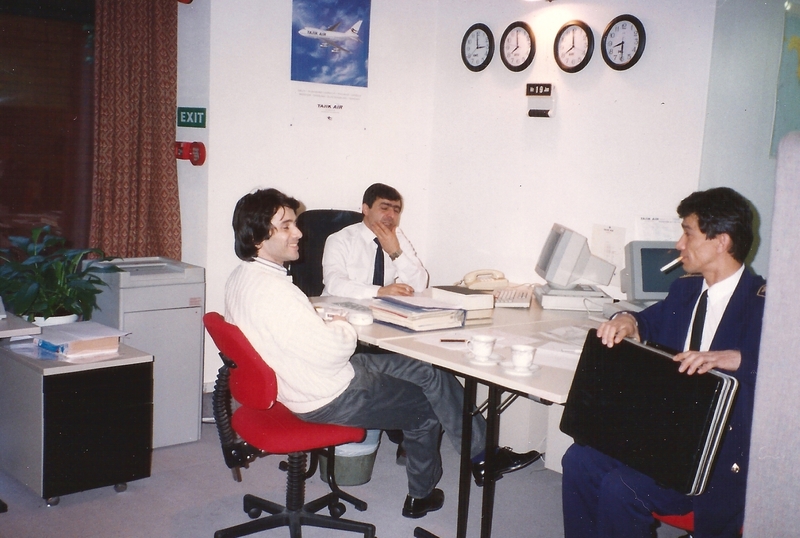 I reminded him that United was still responsible for any maintenance items until I signed the aircraft acceptance form. The flight went smoothly, the aircraft was perfect and everyone enjoyed the tour of the English countryside as we put the airplane through its paces. We returned to Heathrow and I made my first landing in a real 747 in about a year and a half. As we came in on final approach, I realized that we had almost all the top brass aboard, the new crew-members and a whole planeload of people who had never been on a 747 before. 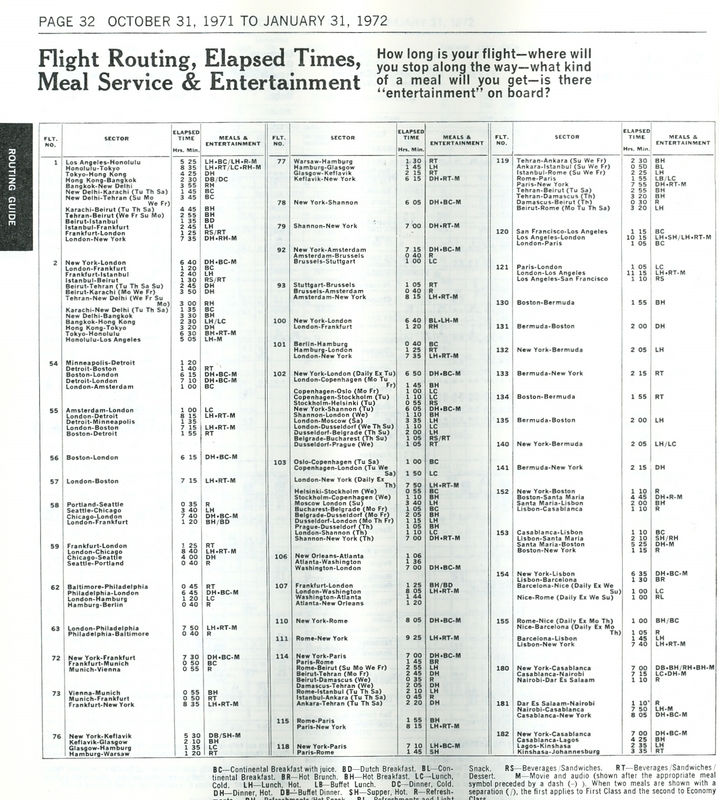 “If you’re are flying a 747 correctly, on speed and according to ‘the book’, it normally makes a very nice landing. Once in a while, when conditions are just right and you are very lucky, the touch down is so smooth that you don’t realize you are on the ground until the speed-brake handle comes up as it automatically reacts to a micro-switch on the landing gear as the wheels touch ground. This was one of those landings. It was now time to get ready for operations. 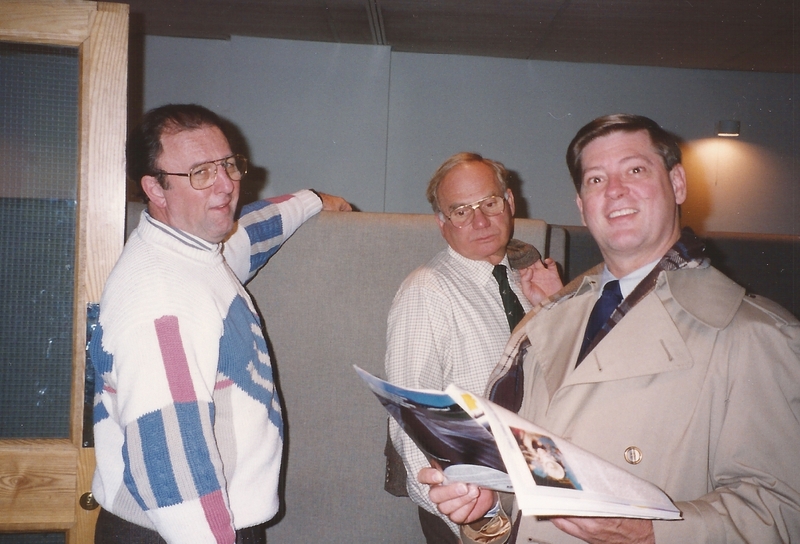 Ticket sales and crew scheduling were at the top of the agenda. 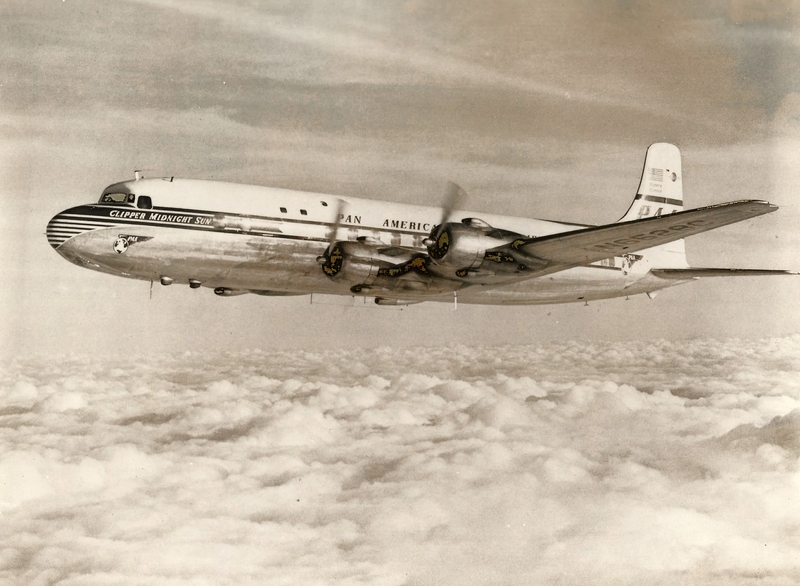 As the day approached for the first revenue flight from London to Dushanbe and onwards to Karachi, the crews began assembling in London to prepare. 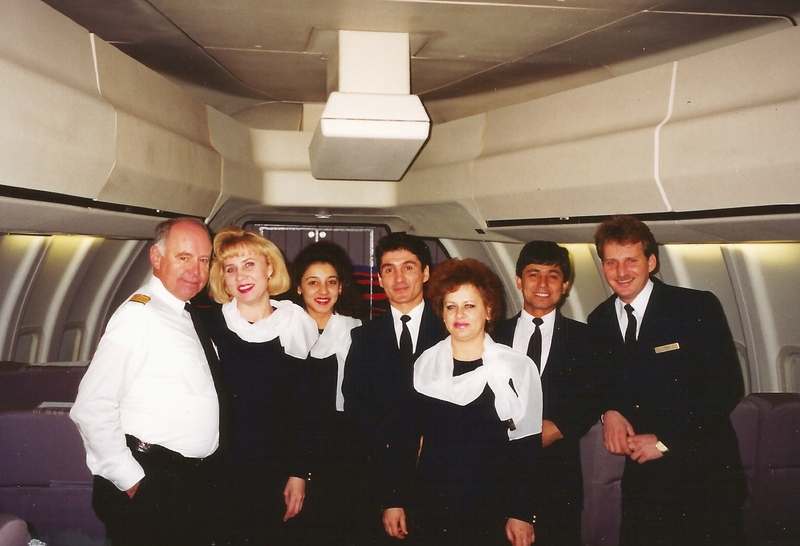 For Gunilla, it was a happy reunion with the Tajik flight attendants who greeted their ex-Pan Am counterparts with “squeals and shouts of joy”. 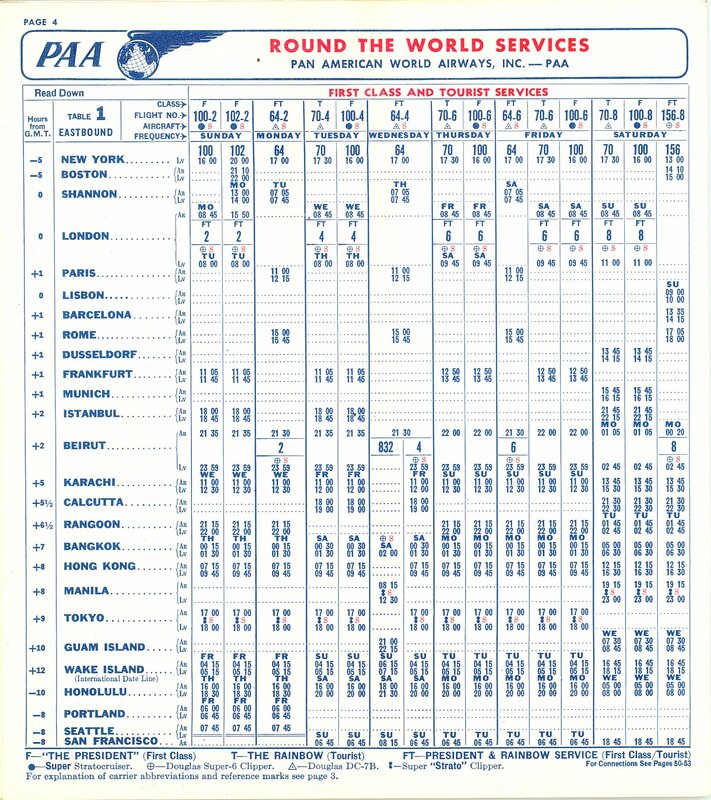 For the inaugural flight four ex-Pan Am were to work the flight, Robert Stewart, Tania Anderson, Linda Morehouse and Linda Oja. 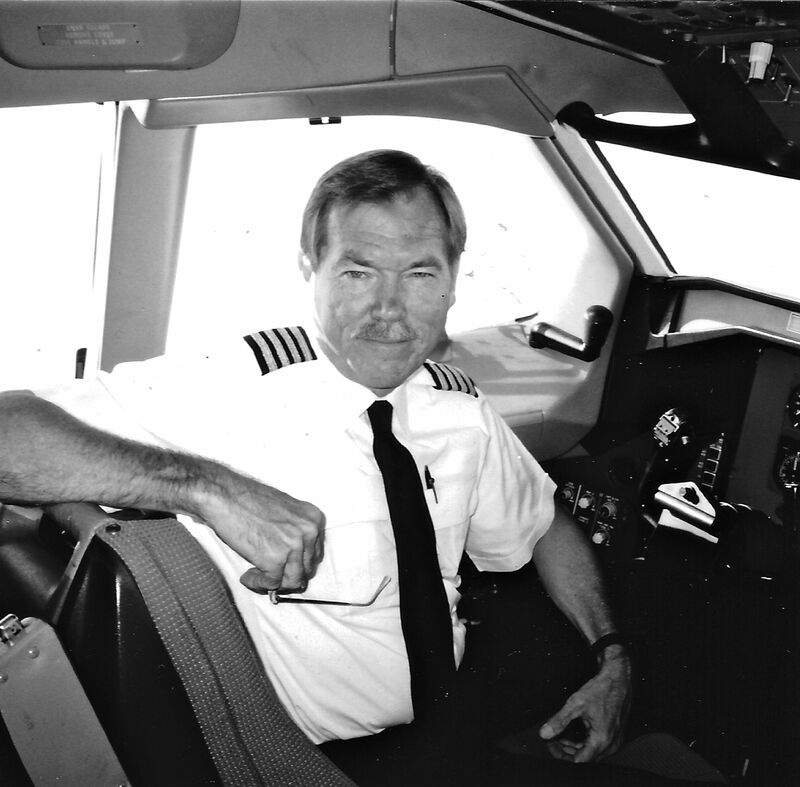 In the flight deck were Captain Ed Olasz, First Officer Jim Donahue and Flight Engineer Carl Meixal. 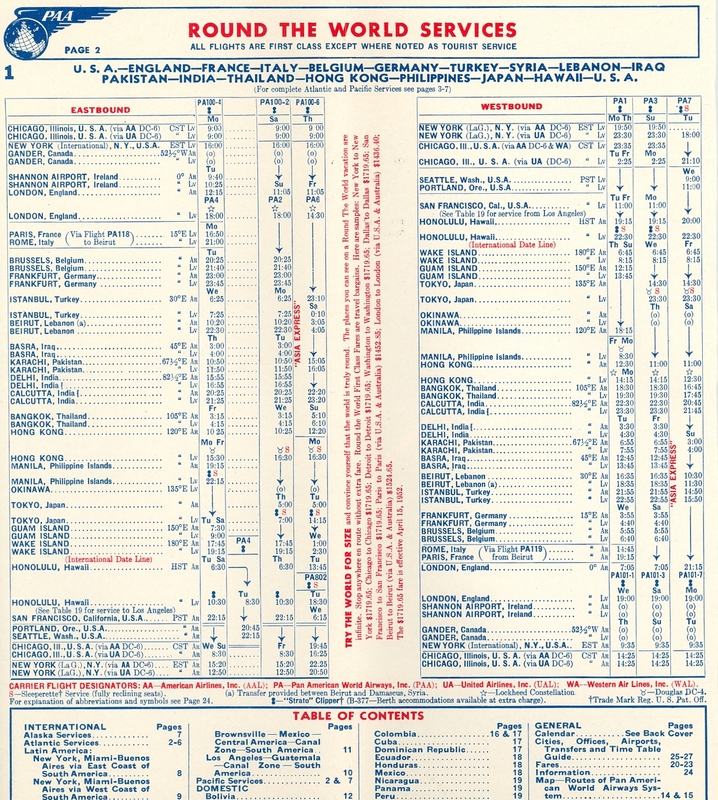 In addition, two qualified captains were assigned to the flight. 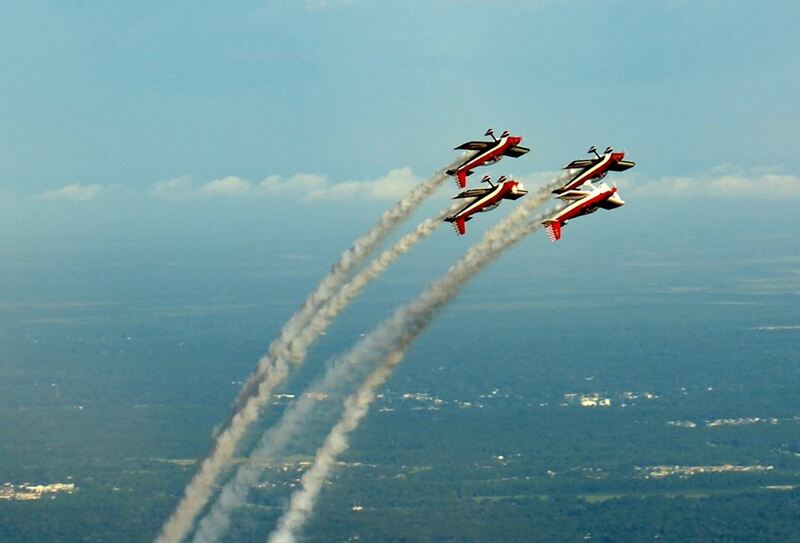 The excitement of flying again did not escape the ex-Pan Amers who were taking part in the operation. 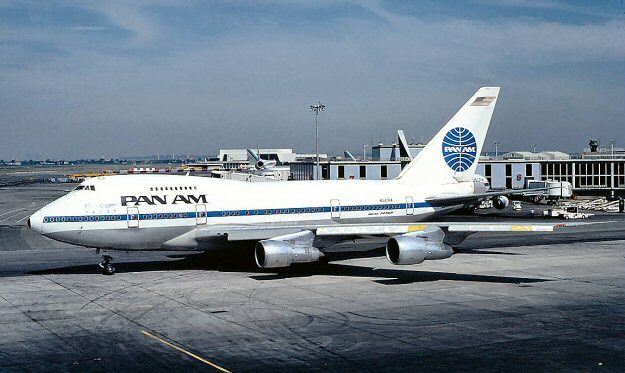 The 747SP’s first flight coincided almost to the date of the demise of their beloved Pan Am, some two years prior. At 2215 hrs on the date of the inaugural flight, Tajik Air’s Boeing 747SP, designated flight 7J801, departed London Heathrow for Dushanbe. The spirit on board was one of joy and happiness. After a long flight into the night, the 747SP landed in Dushanbe. “Not long afterwards, the entire crew along with the ground people gathered in front of the aircraft for a memorable photo. Each of us was festooned with garlands of deep red-colored roses. They were velvet to the touch and their fragrance was heavenly, even against the cold blast of mid-winter. 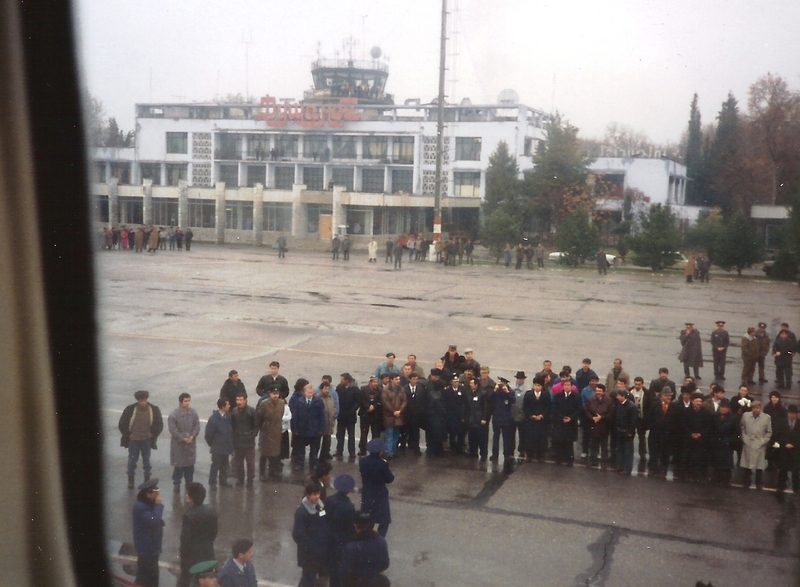 When the flight arrived at Dushanbe that morning, Tajikistan was in the midst of an economic crisis along with a civil war. Bread was being rationed but at the same time the country was trying to turn the page into a new chapter of their existence, emerging from the era of Soviet rule to an independent and free nation. 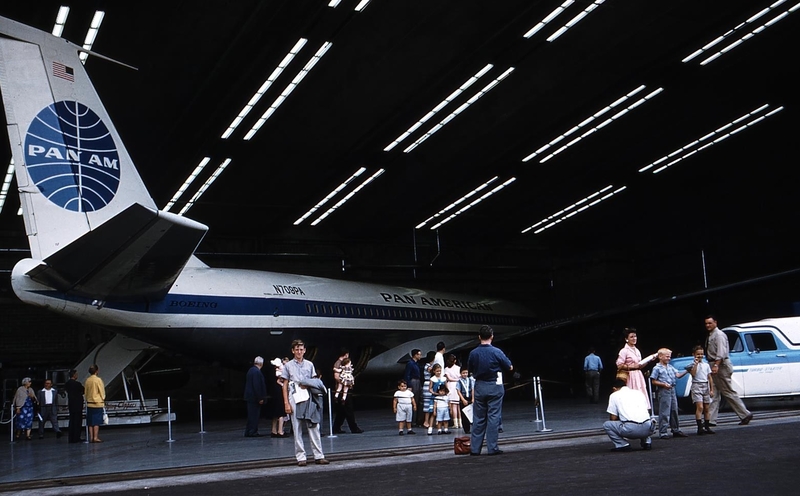 The arrival of this beautiful 747SP representing their national airline stoked both great pride and happiness among its citizens. 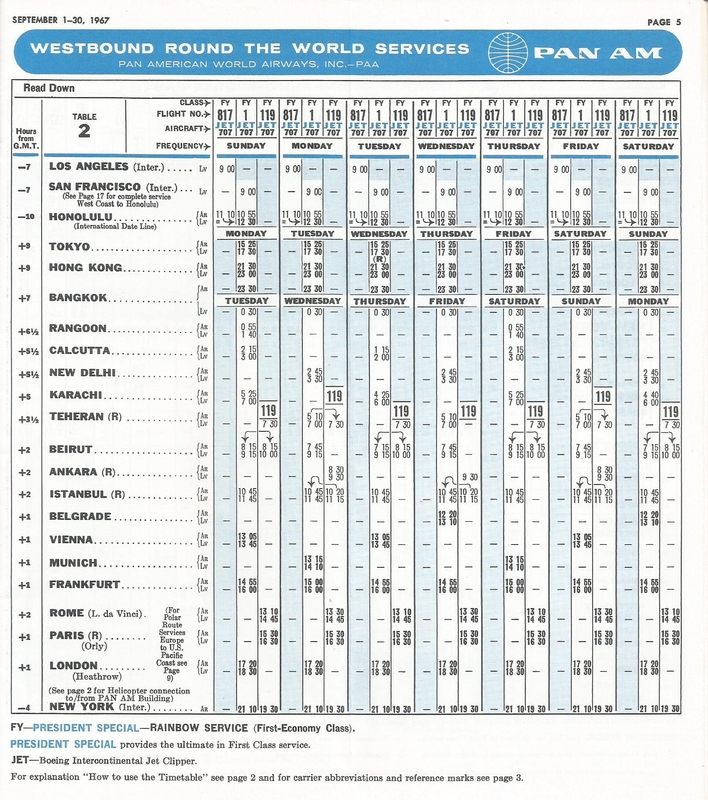 This unique “Technical Assistance”, from the beginning, was the story of a revolutionary idea that should have been hugely successful. Who would have thought that a remote country in the former Soviet Union would have a Boeing 747 operation linking it with the West? It actually happened – and it could have continued. Unfortunately the fates would not allow that and countless hours of devotion to a noble project went to waste. If there is blame, it is not worth dwelling on. Everyone wanted the right outcome. Unfortunately, it was not to be. The timing was just not perfect for starting such an operation. The infrastructure within Tajikistan’s Civil Aviation Authority had not matured enough to take on the financial and political burden of a complex Sixth Freedom operation, requiring bilateral agreements not only with the United Kingdom, but with India and Pakistan as well. Thanks to the London management, the UK agreement and slots at Heathrow were secured. Unfortunately, the negotiations to secure the agreements with India were still incomplete when the operation started and that presented barriers and resultant revenue losses. Had the start of the operation been delayed until the negotiations were completed there might have been a different result. That will never be known. 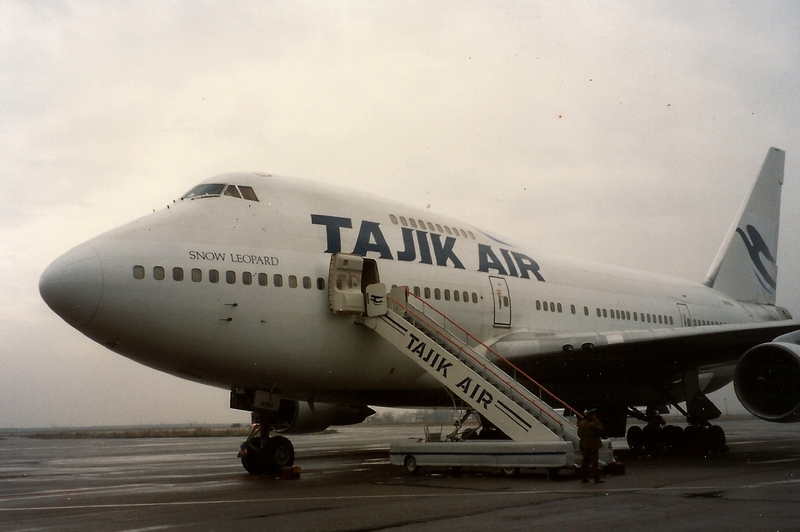 However, the Boeing 747SP operation proved that it could be done, and for four short months, Tajik Air’s Boeing 747SP proudly flew the skies between London, Dushanbe and Delhi/Karachi. 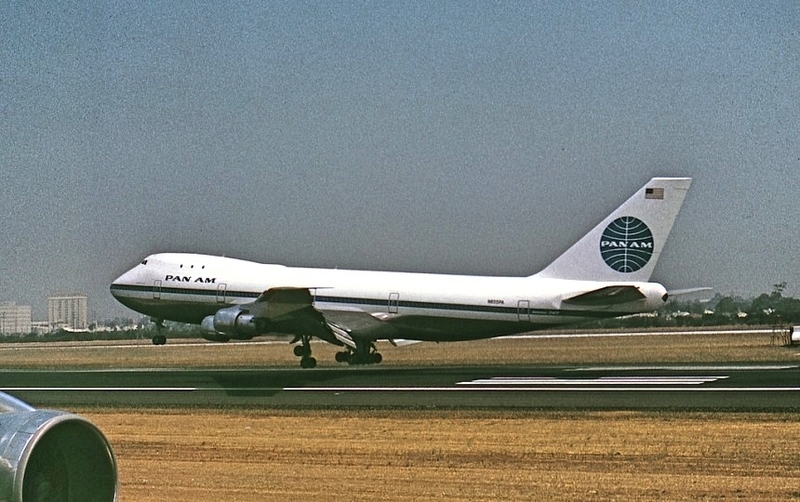 Tajik Air’s Boeing 747SP, Manufacturer’s Serial Number 21649, Serial 373 was first delivered to Pan American World Airways on May 11, 1979 registered as N540PA and named Clipper White Falcon. 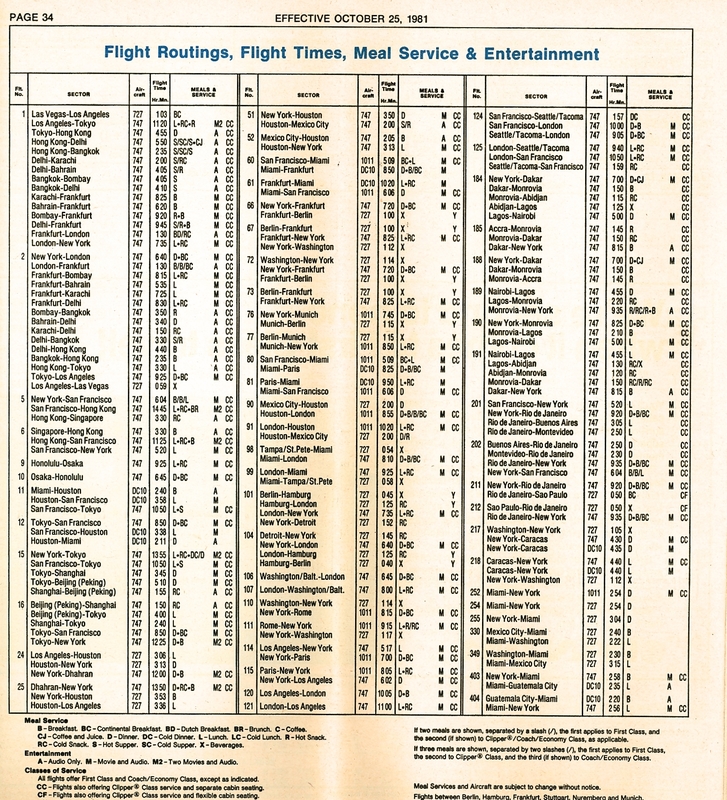 It was renamed Clipper Flying Arrow on August 1, 1979 and later renamed Clipper Star of the Union on January 1, 1980. 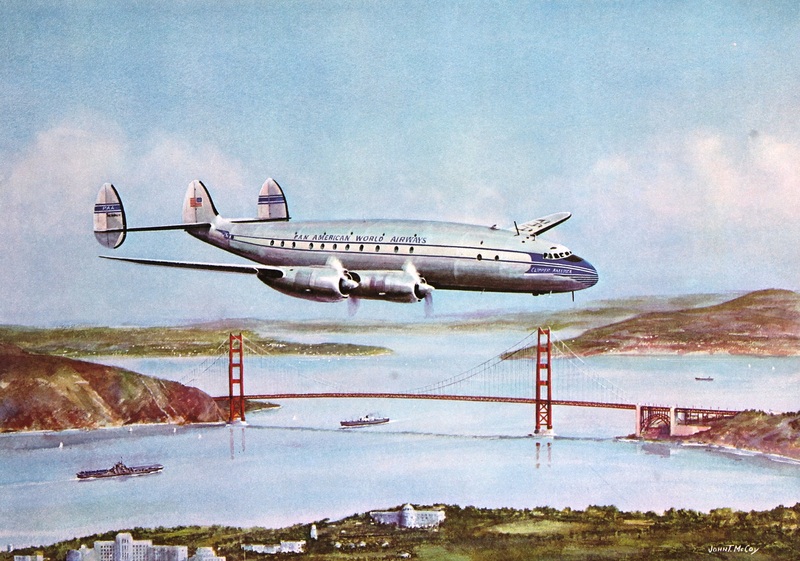 One year later, on January 1, 1981, the aircraft became China Clipper. 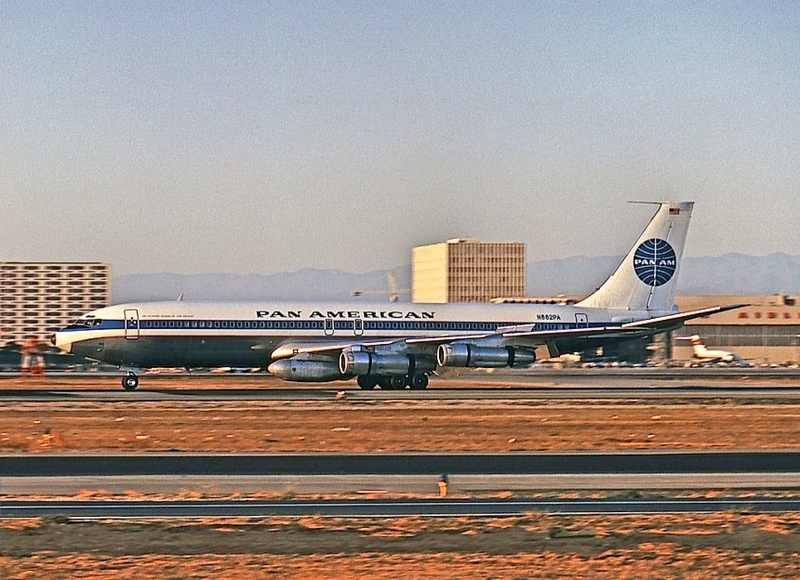 On February 12, 1986, as part of Pan Am’s sale of its Pacific Routes, N540PA was acquired by United Airlines. 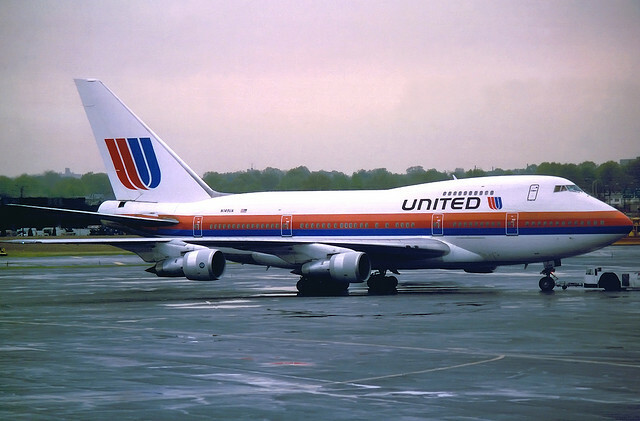 The registration was changed to N149UA on June 1, 1986. 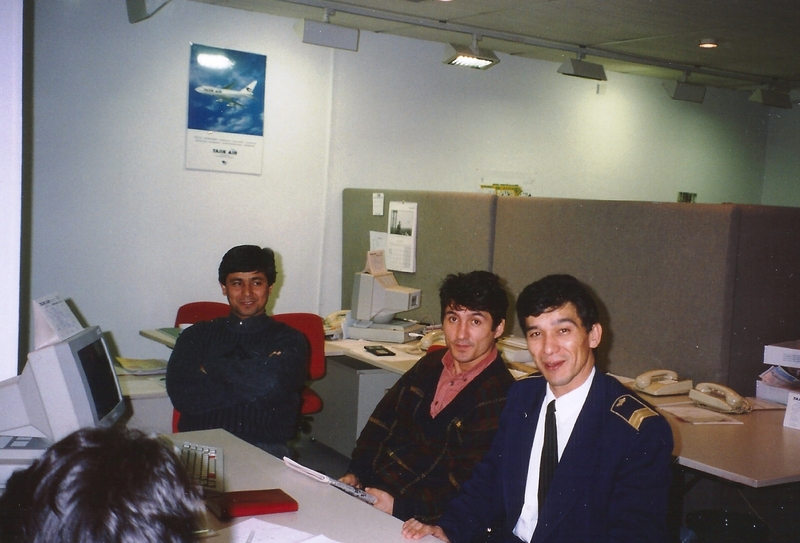 It was under this registration that the aircraft operated for Tajik Air. 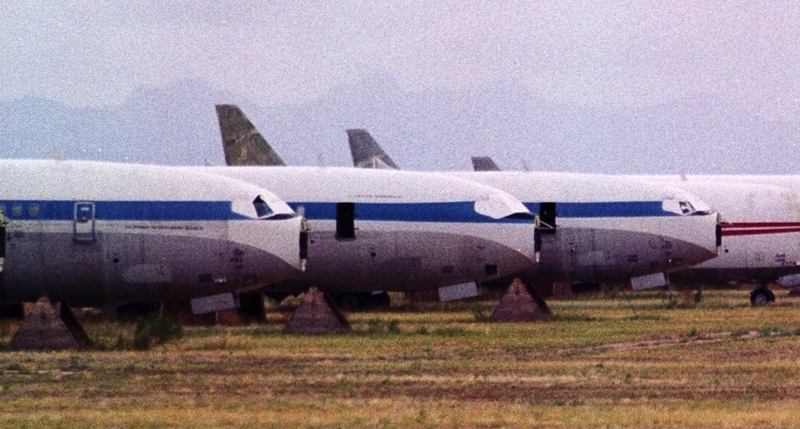 After the aircraft was repossessed by United Airlines, it was bought by the Brunei Government and re-registered as V8-JBB. 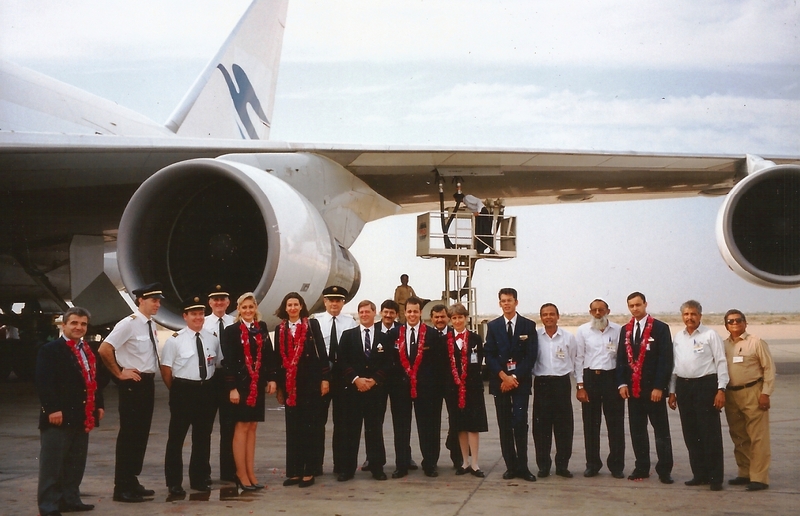 It was then bought by the Government of Bahrain on December 24, 1998 and registered as A9C-HMH. Today the aircraft is owned by the Las Vegas Sands Corporation, registered as VQ-BMS. She is still in operation. 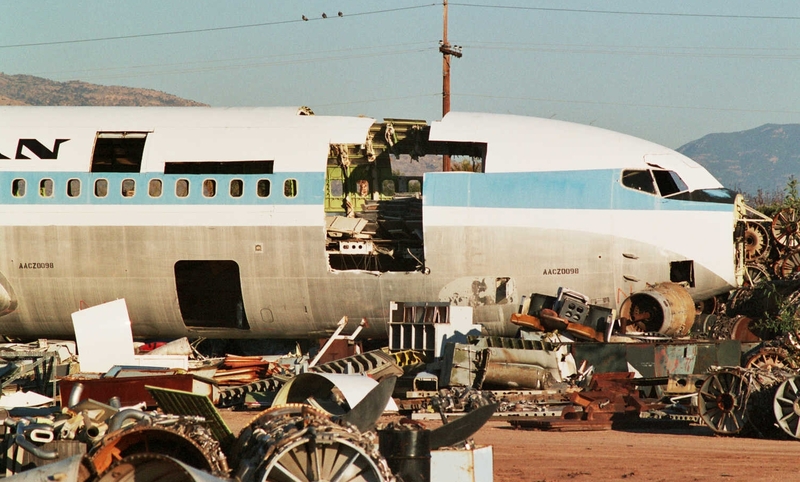 Aircraft Accident Workshop, 31 May 2014 in San Francisco. Click here for info or registration.